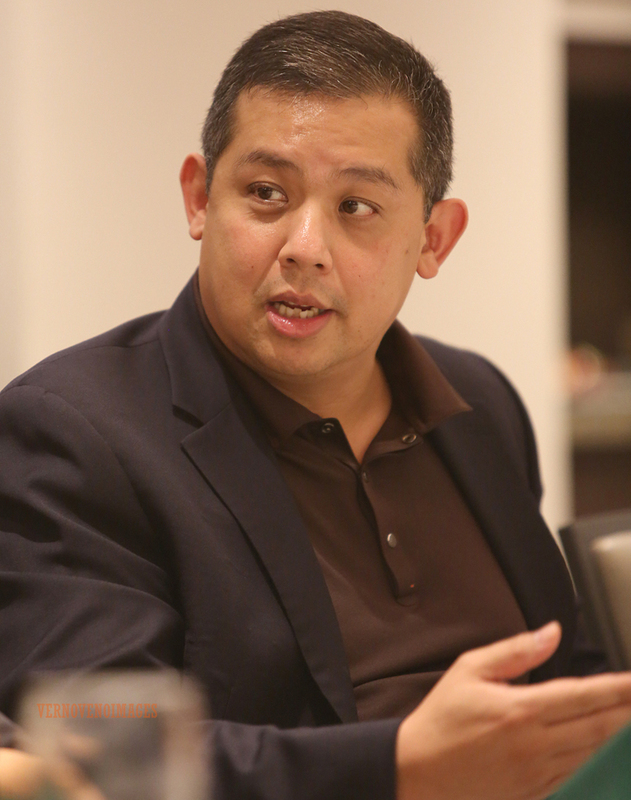 WILL THERE REALLY BE A POWER CRISIS IN 2015? 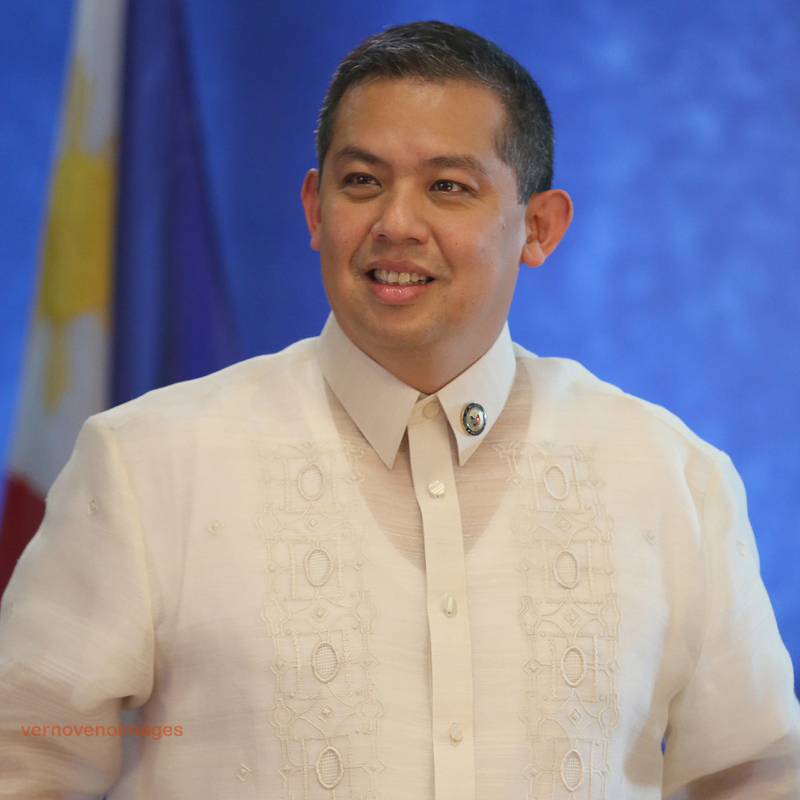 WHAT WILL HAPPEN TO MRT PATRON? 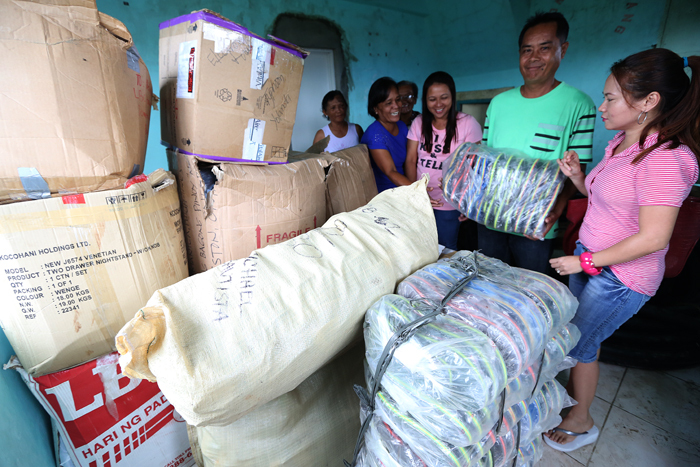 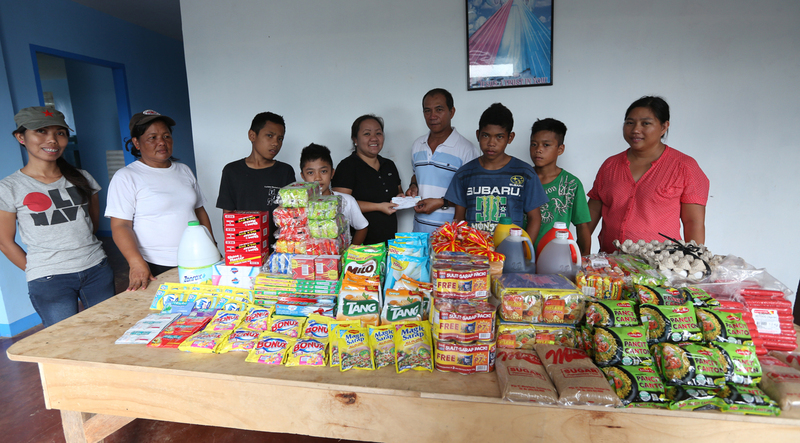 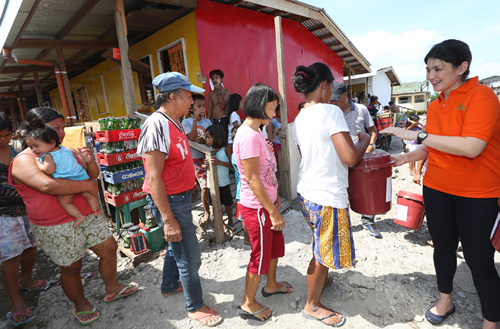 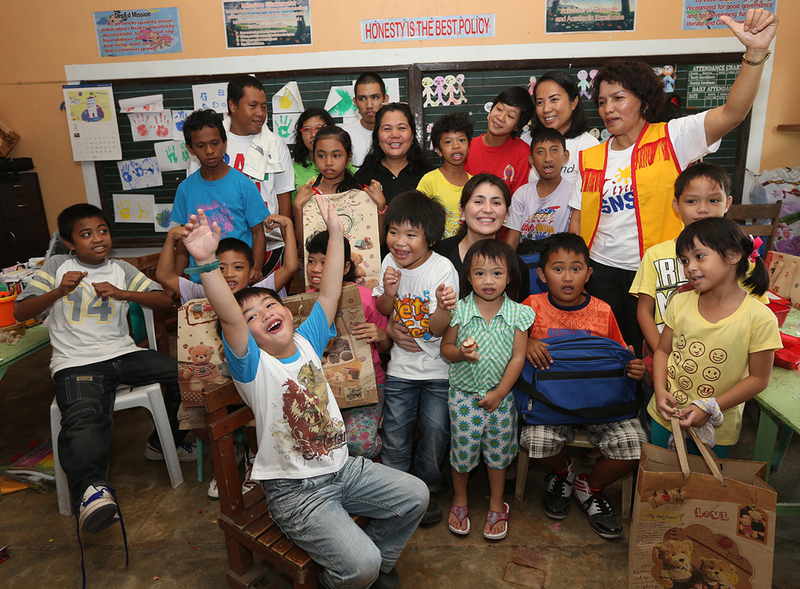 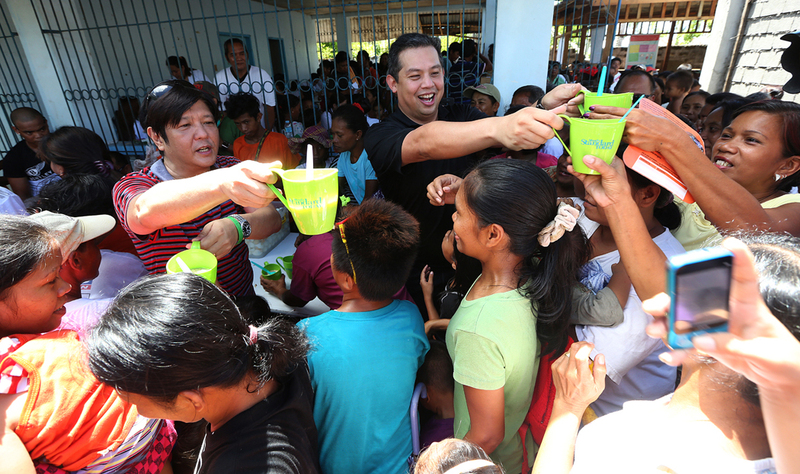 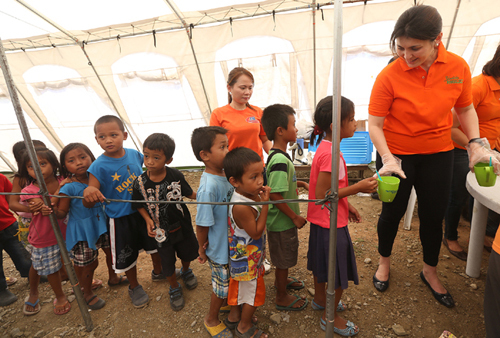 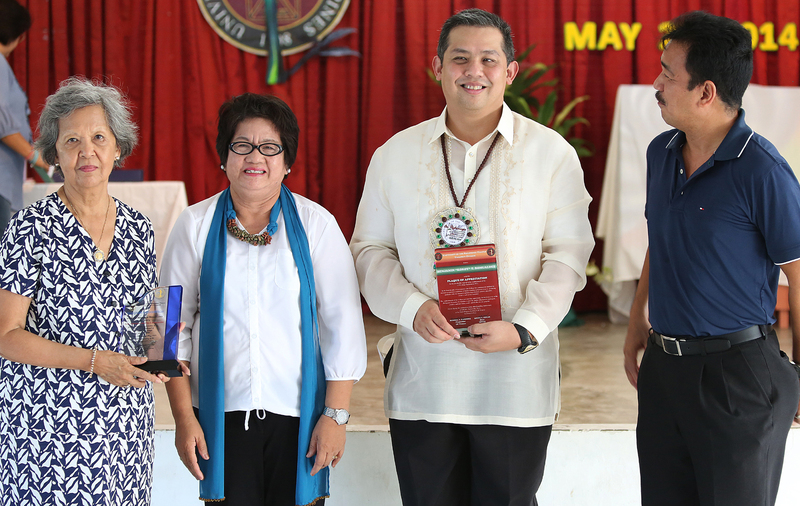 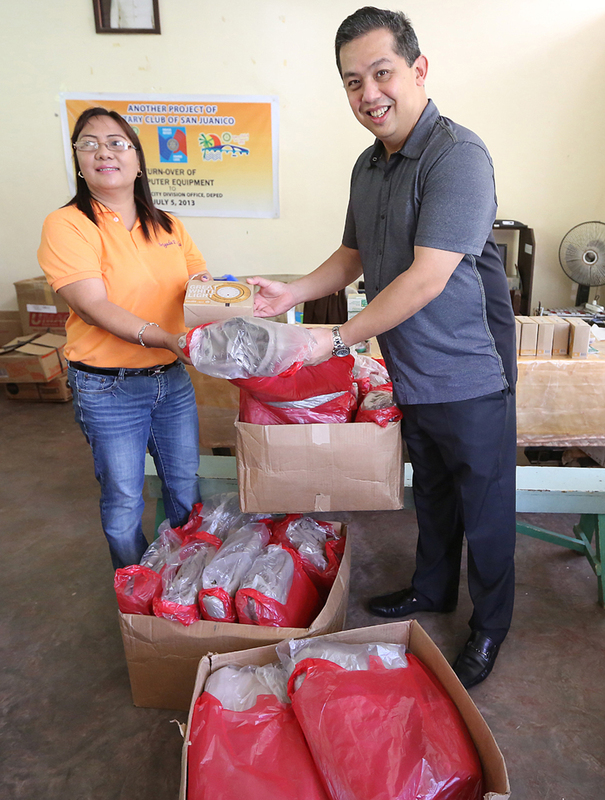 Mrs. Yedda Marie Romualdez wife of Congressman Ferdinand Martin “FM” Romualdez gives nutritious cup of arrozcaldo to more than 300 pupils of San Antonio Elementary School, San Antonio Palo Leyte. 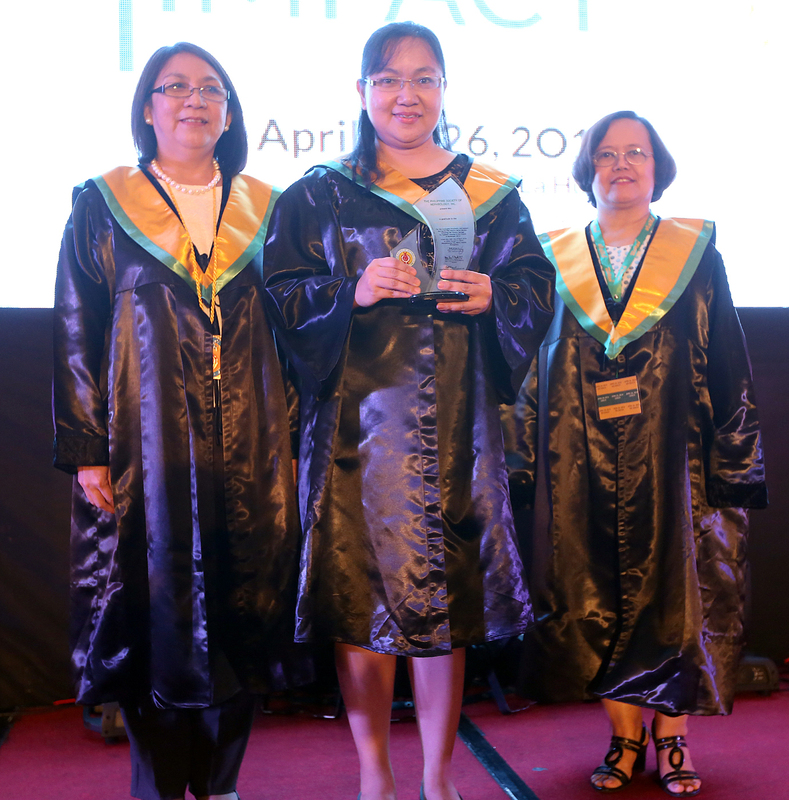 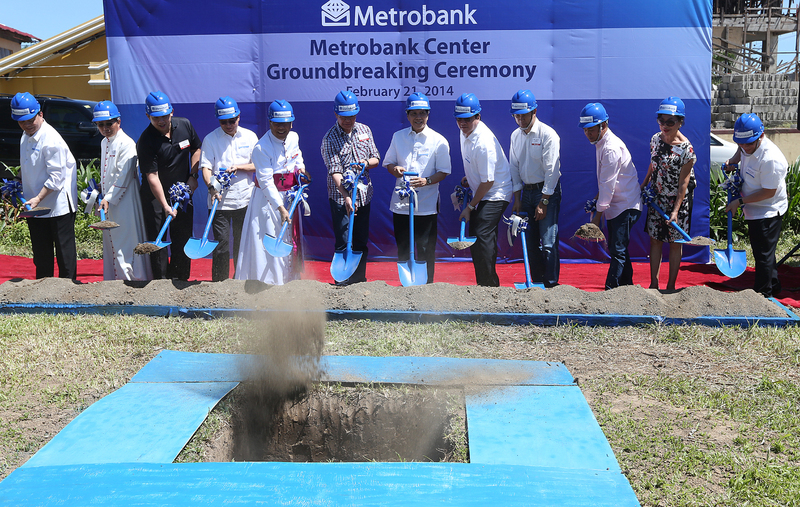 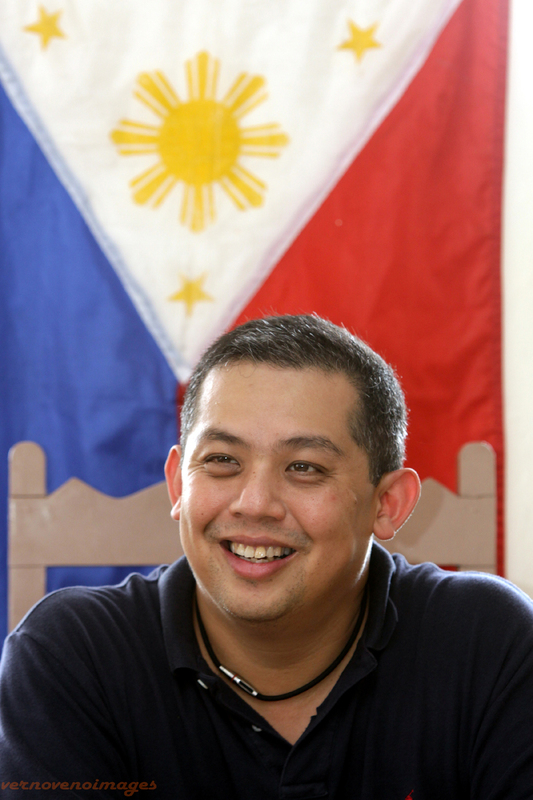 photo by Arlan Sequito. 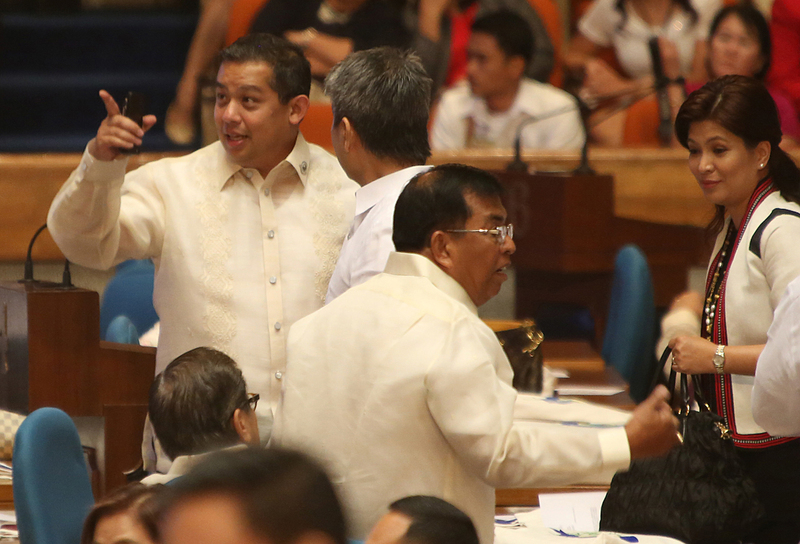 WILL SPEAKER KEEP HIS PROMISE? 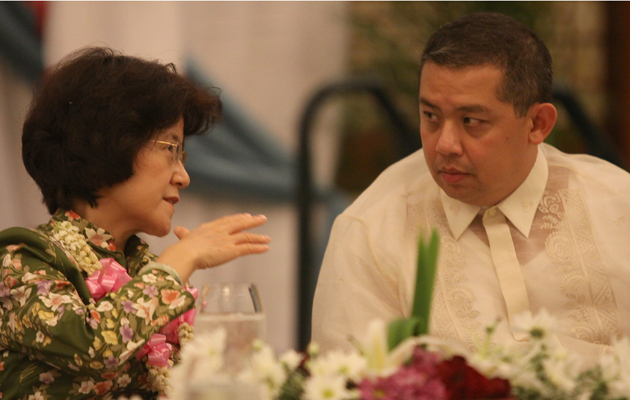 PARTICIPATIVE FORUM IN DISABILITY CONCERNS AT MANILA HOTEL .with Chief of Staff Rachel Rodeles-Santiago office of Cong FM Romualdez. 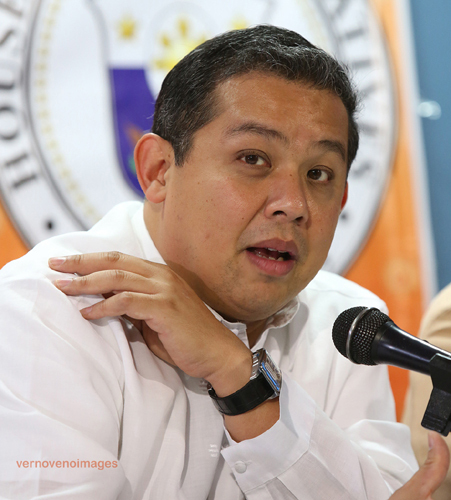 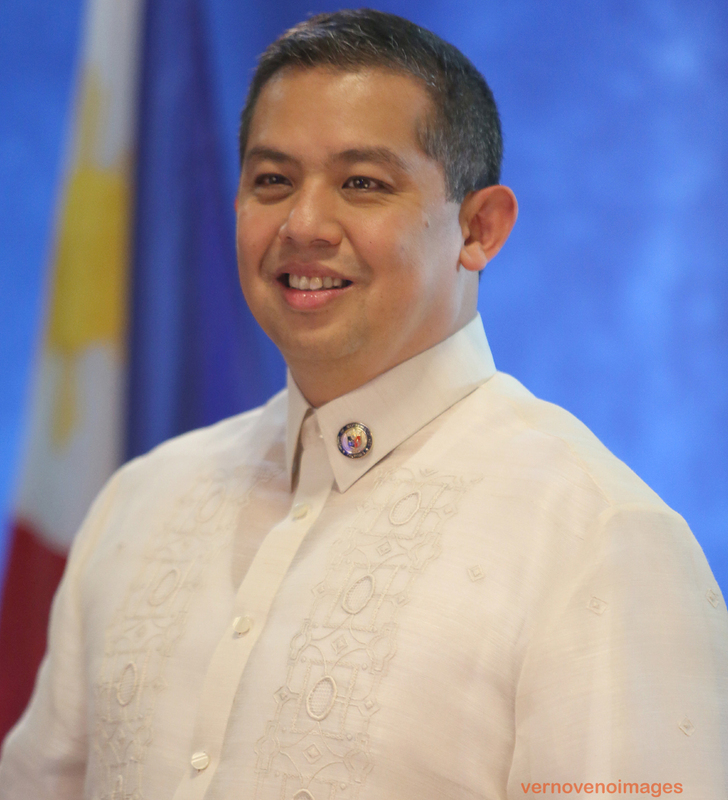 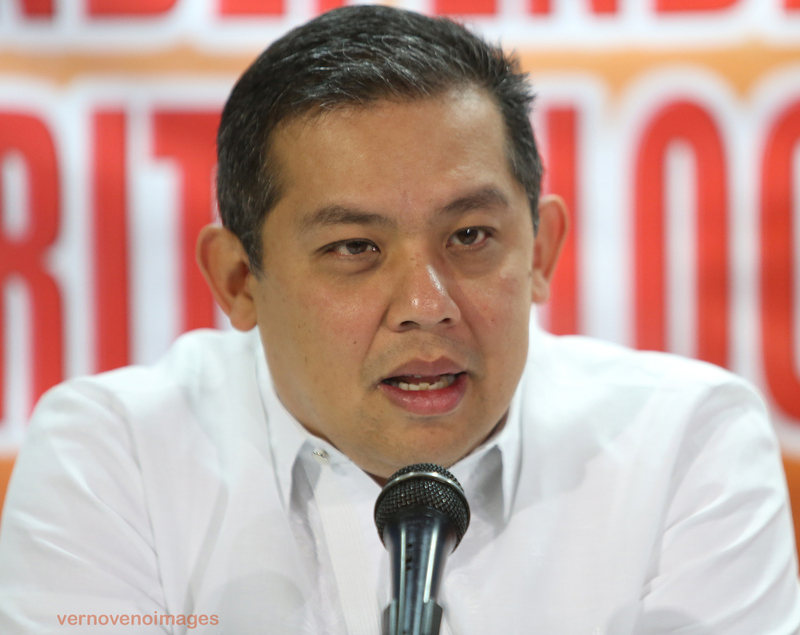 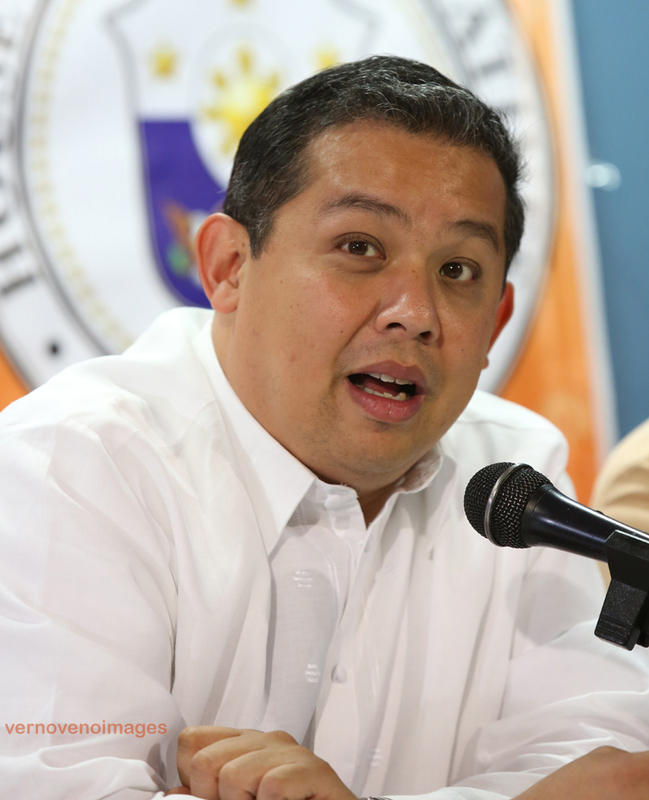 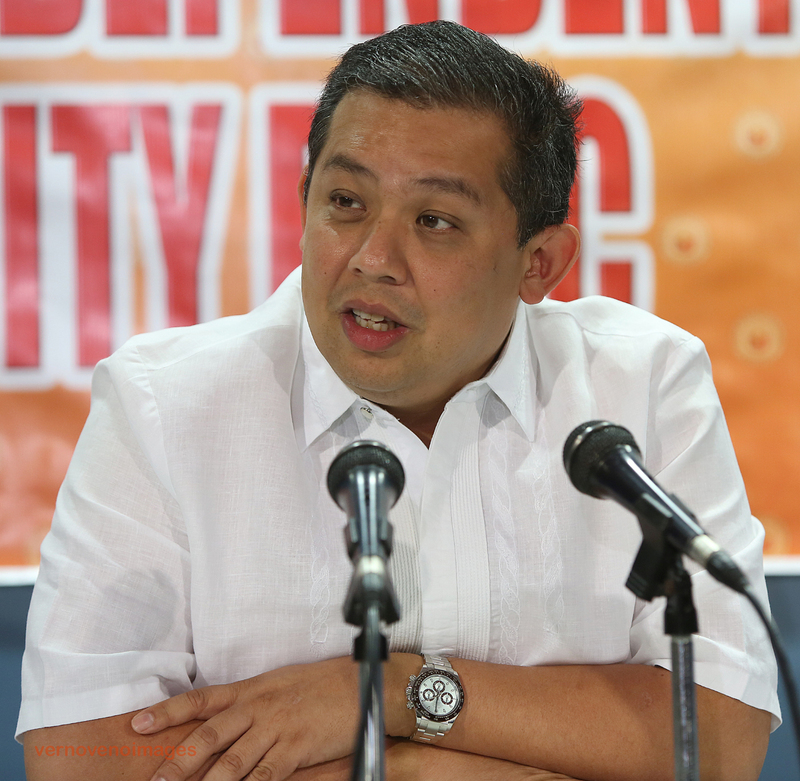 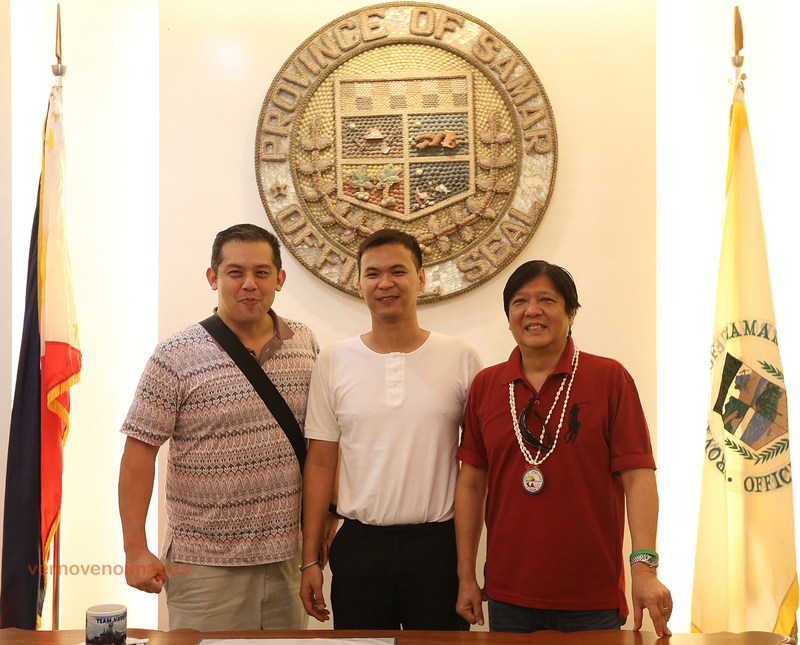 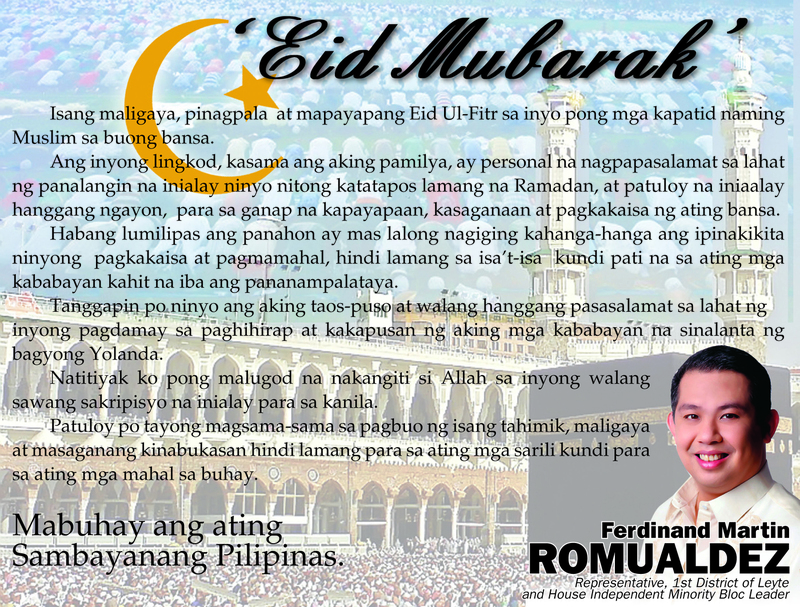 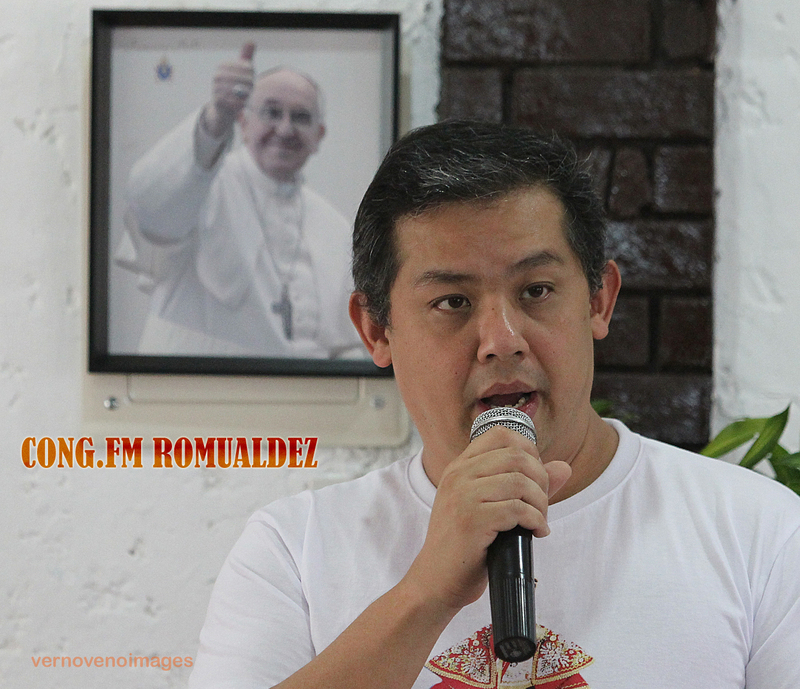 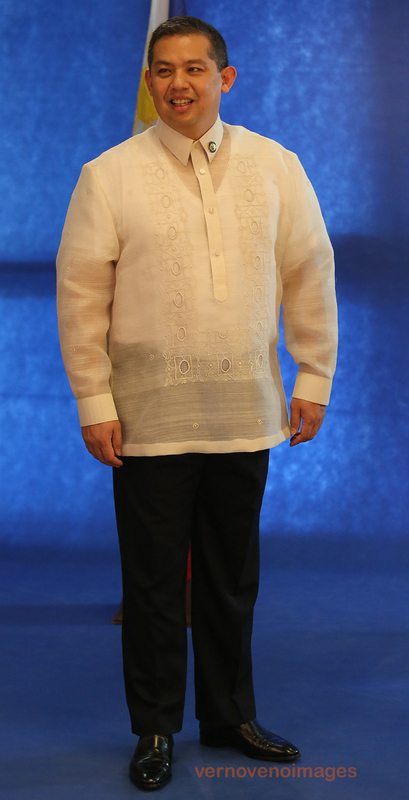 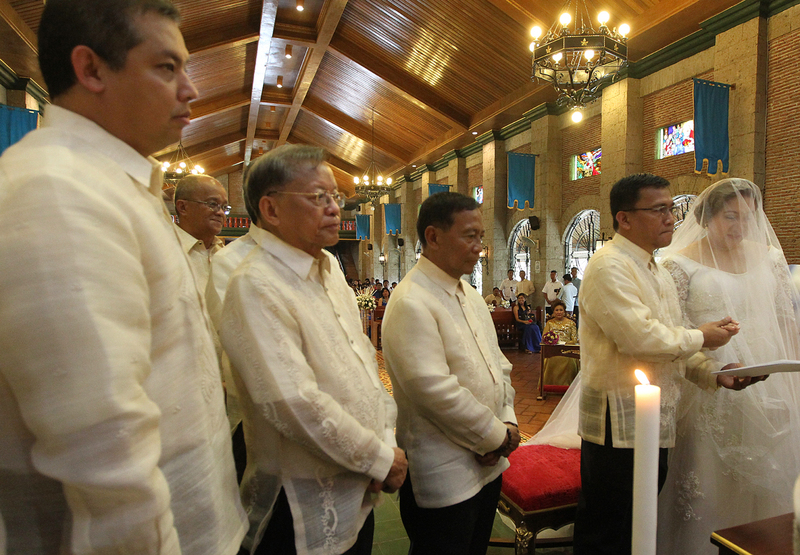 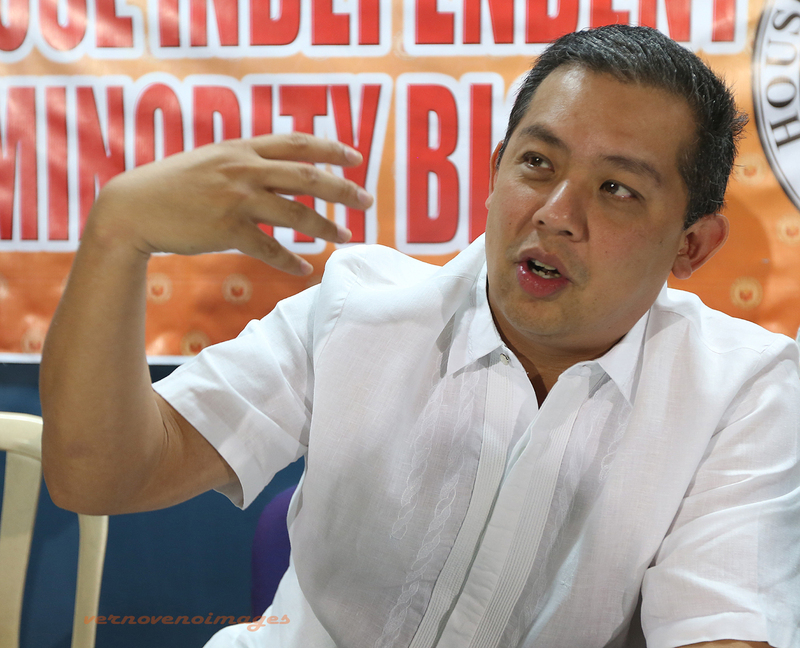 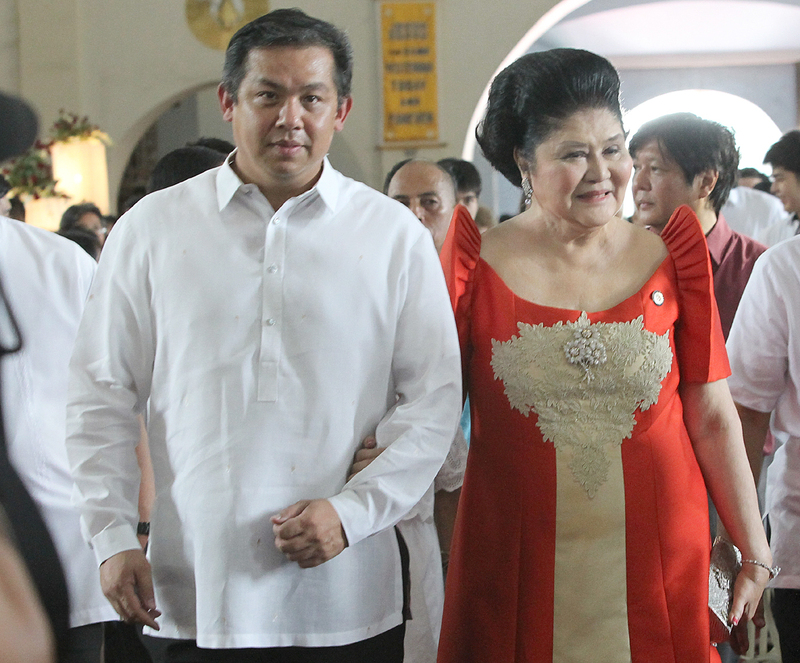 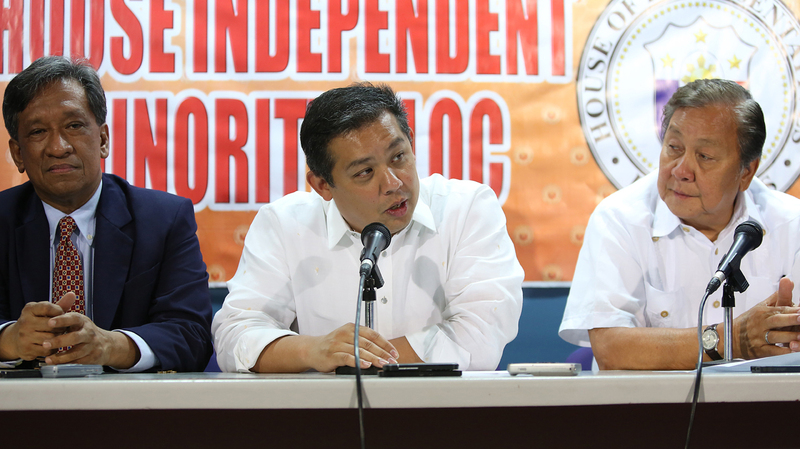 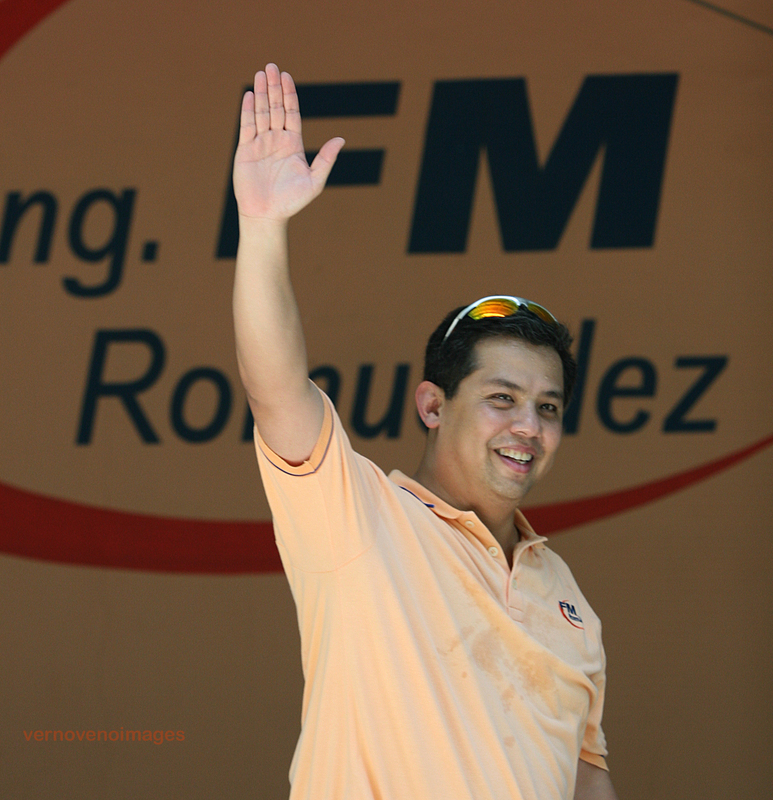 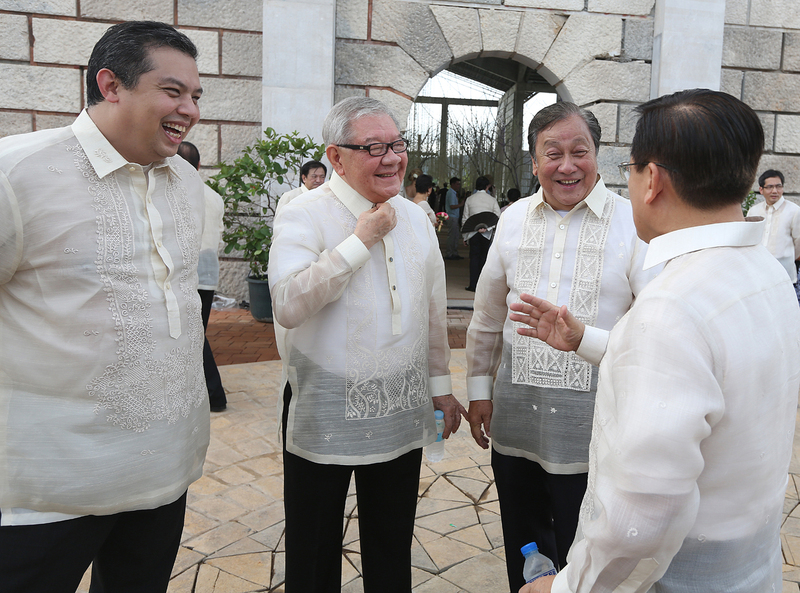 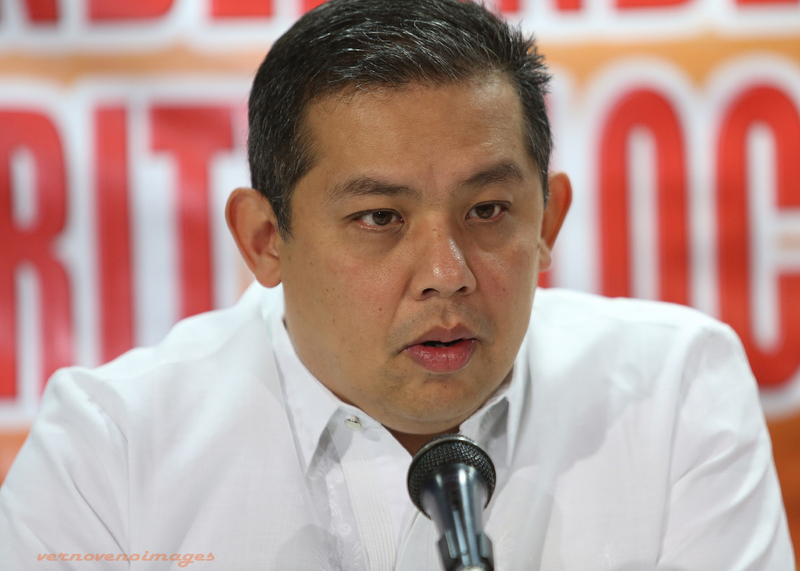 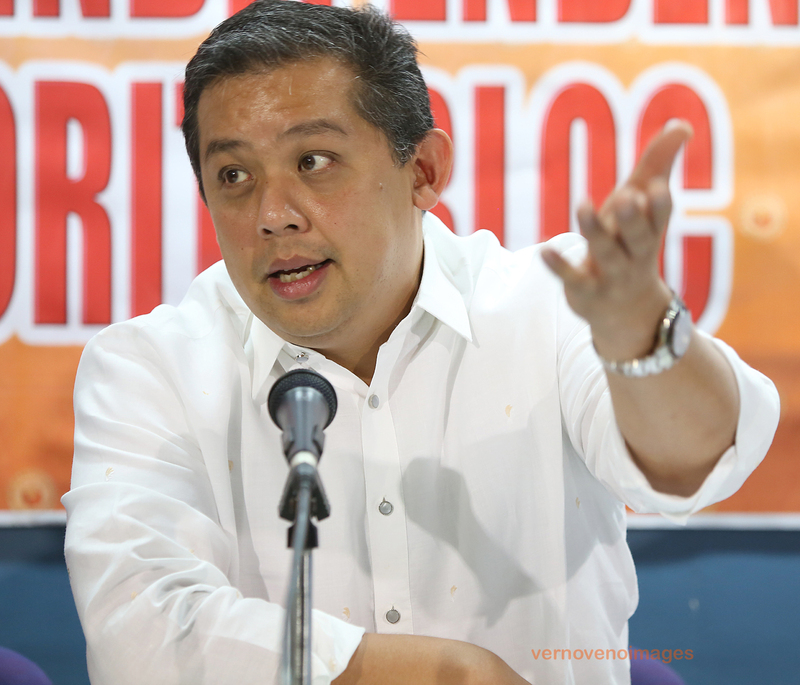 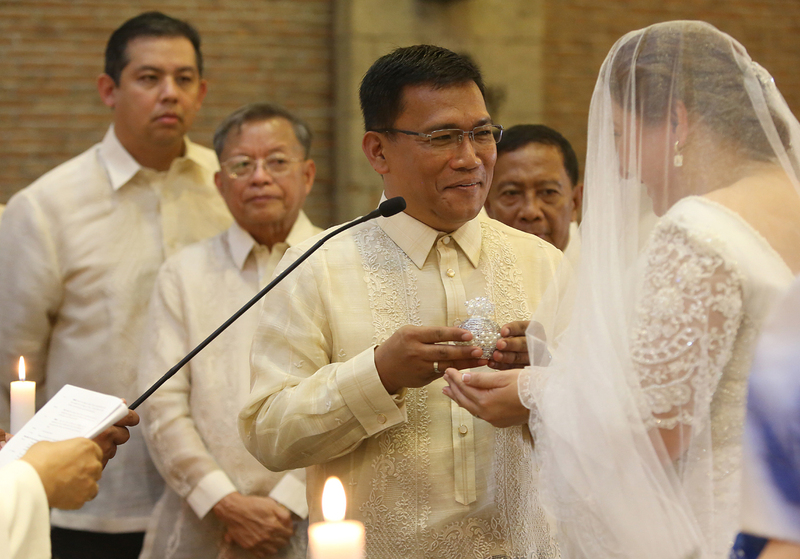 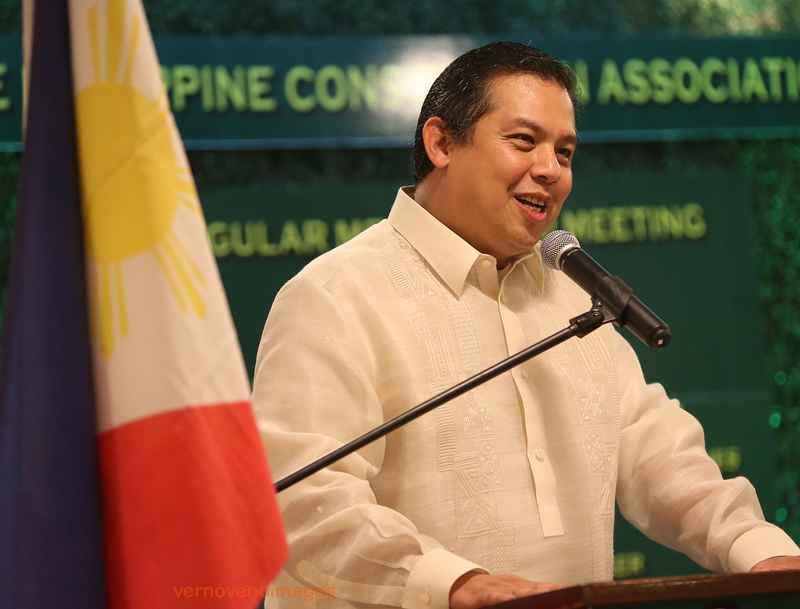 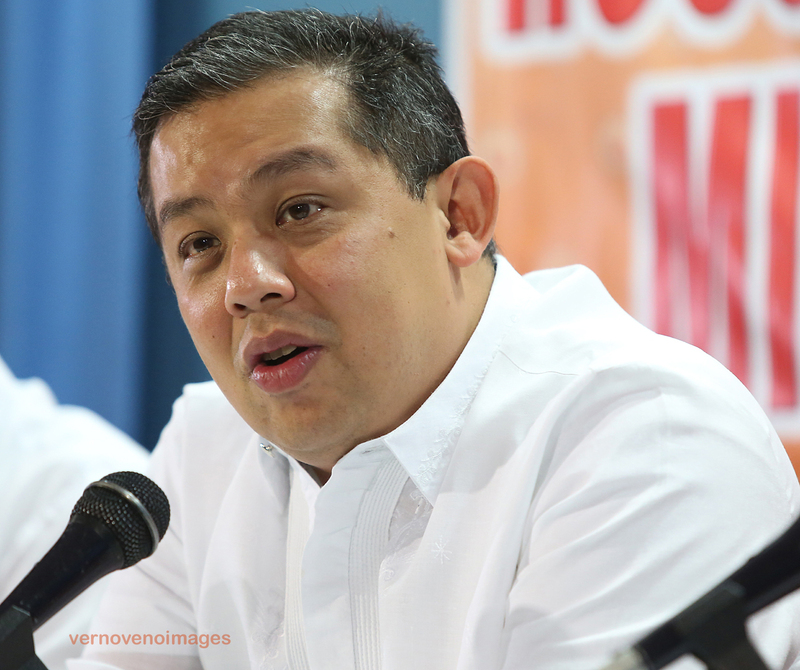 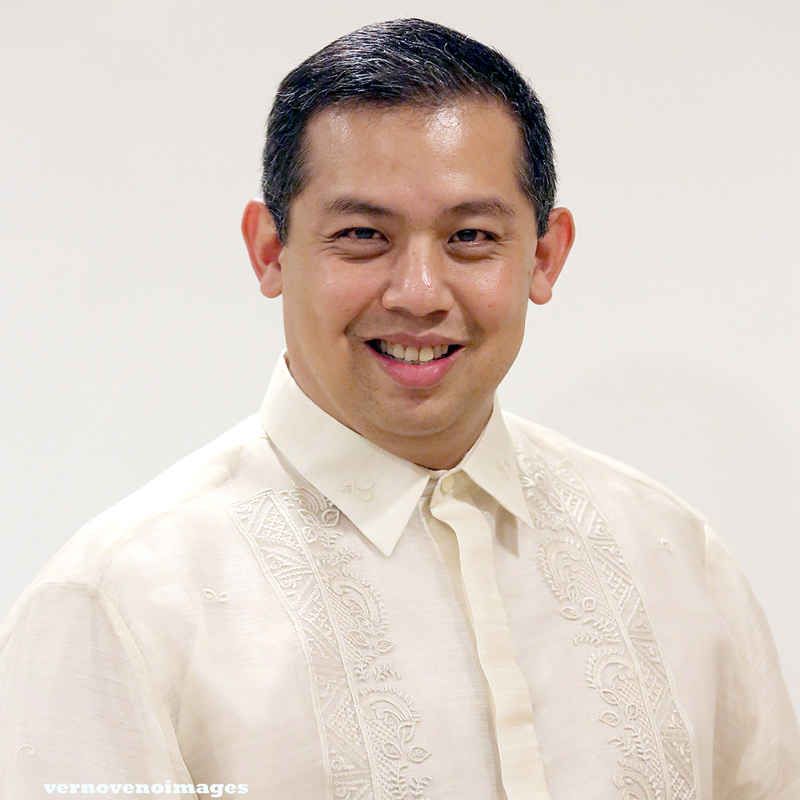 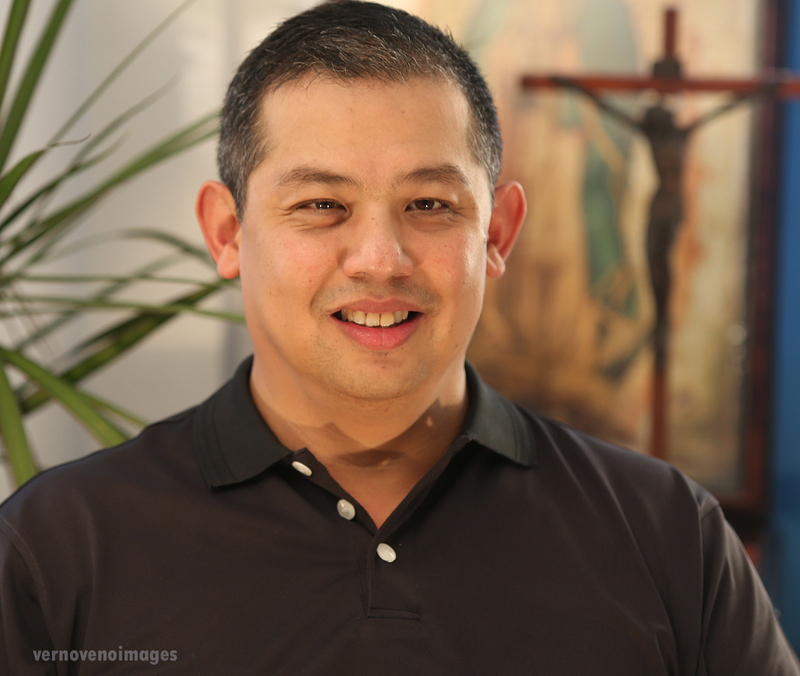 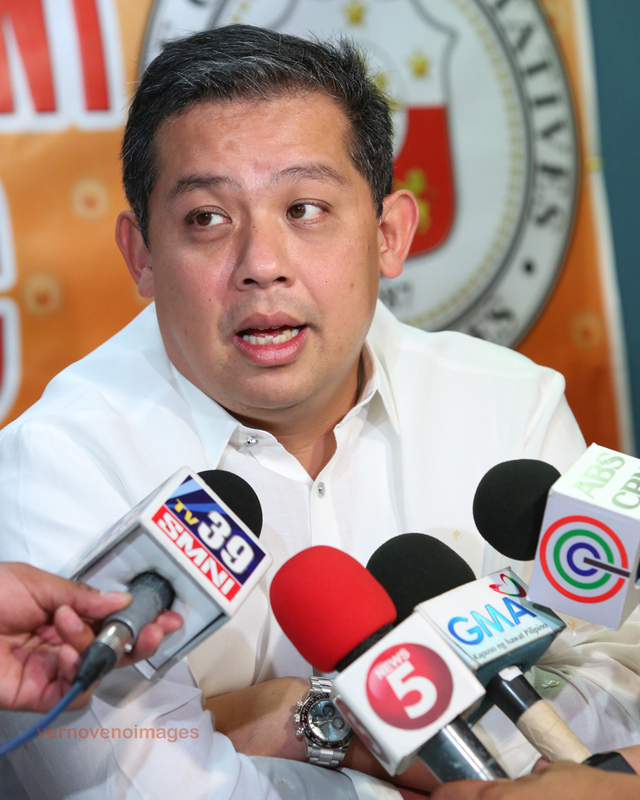 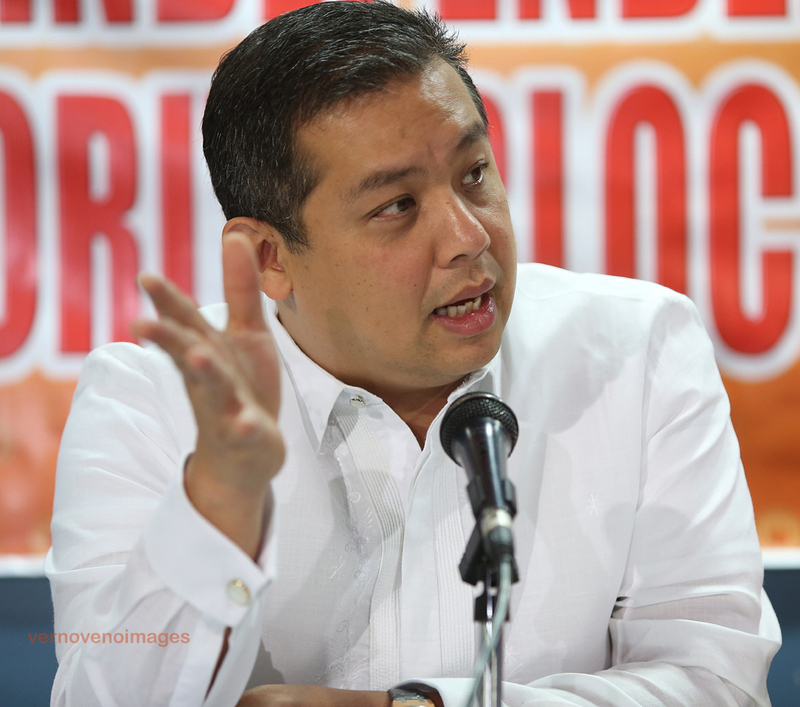 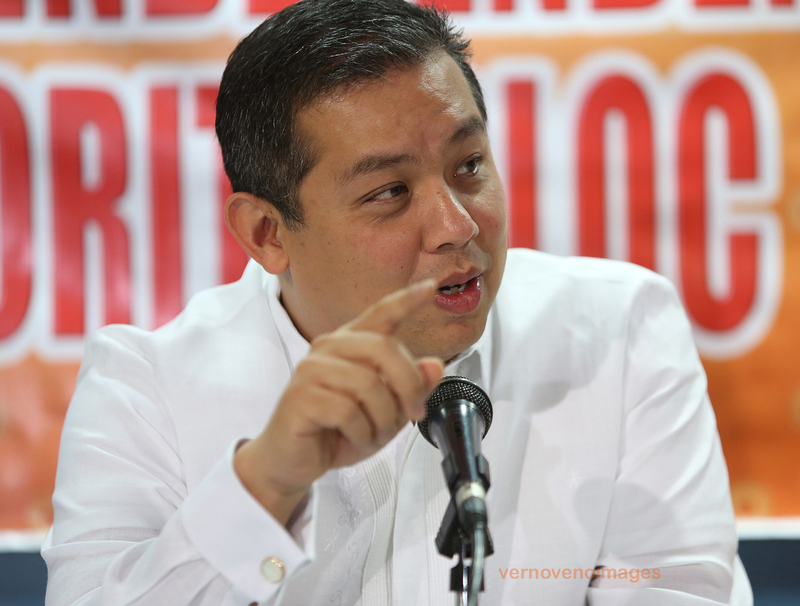 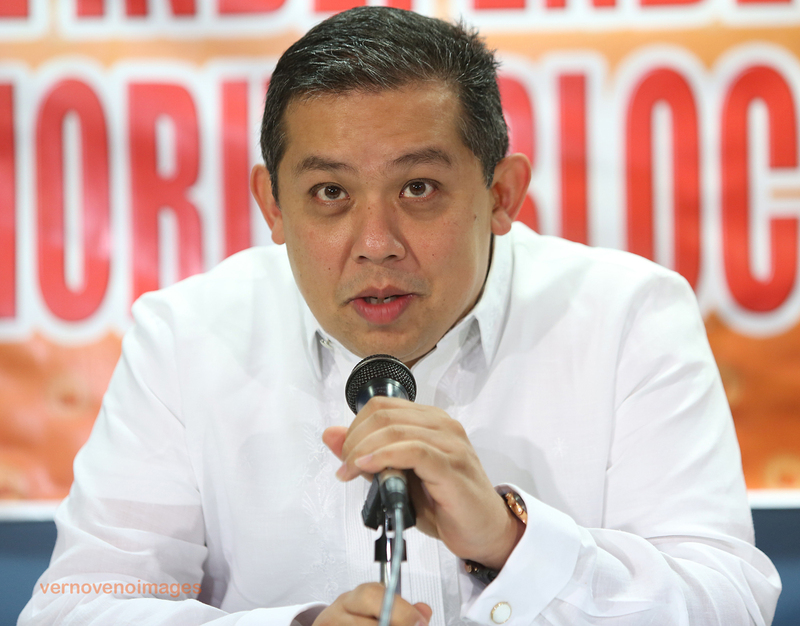 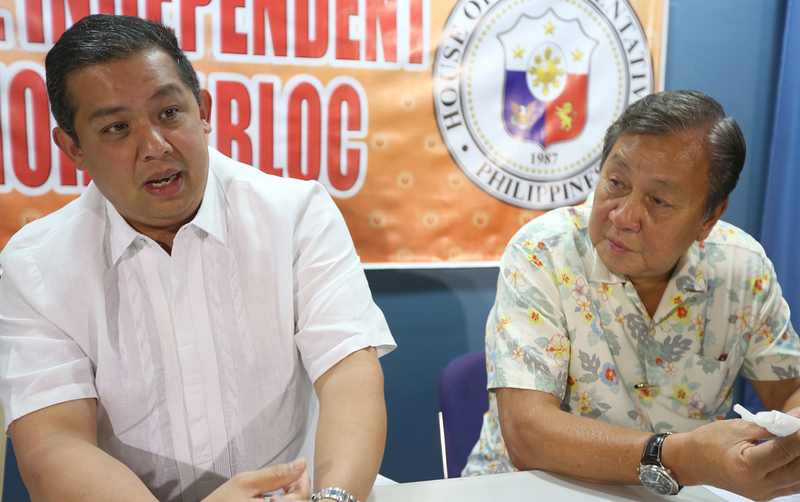 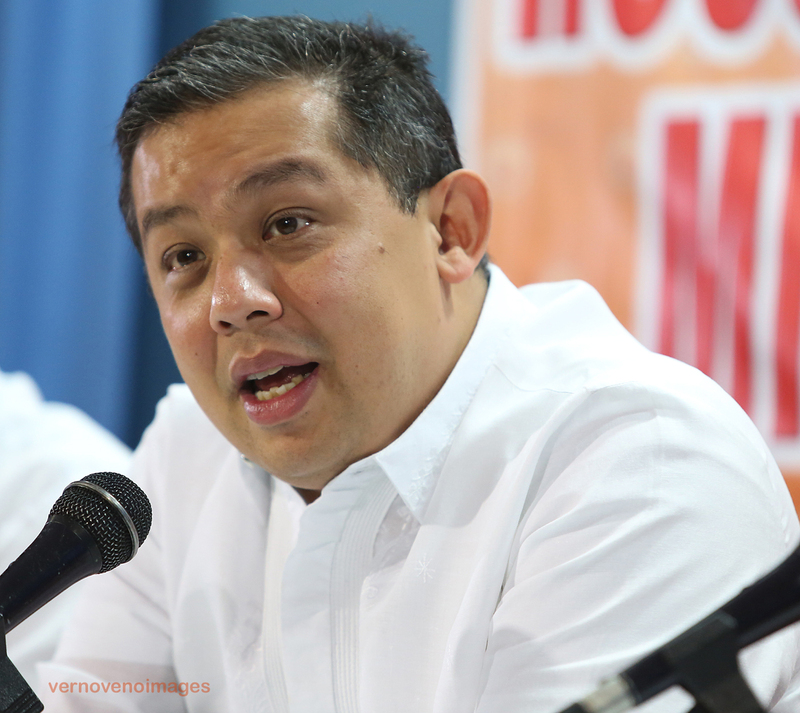 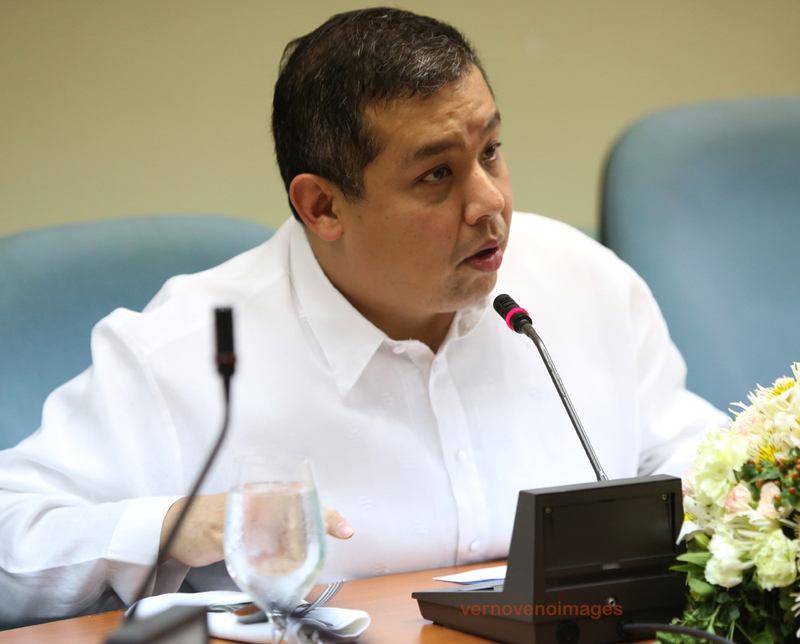 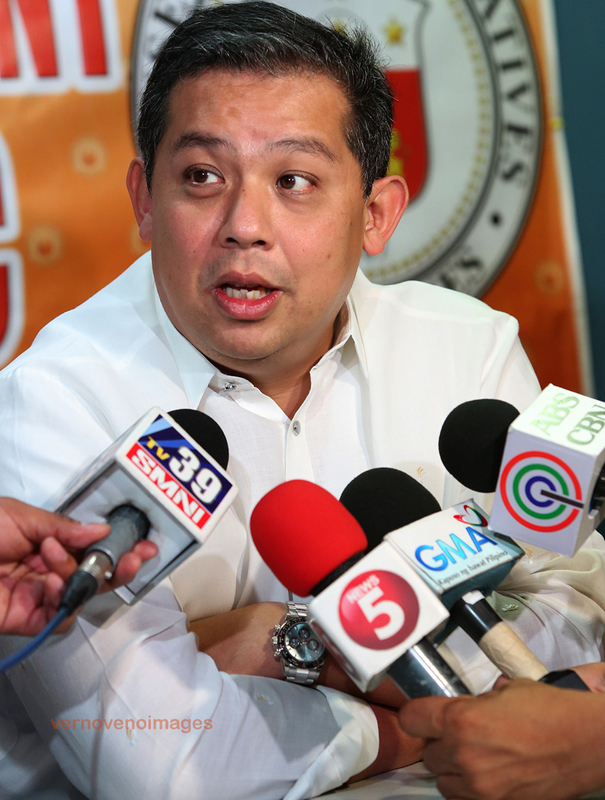 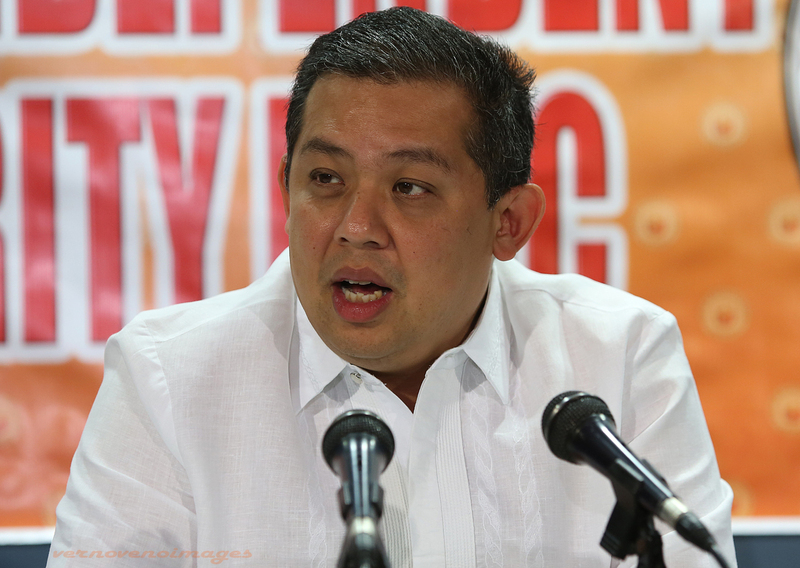 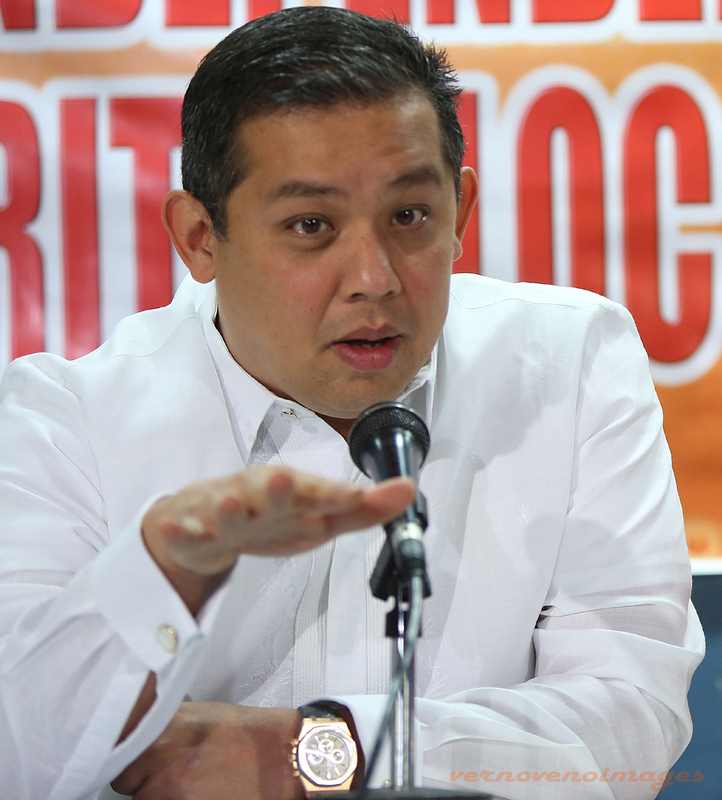 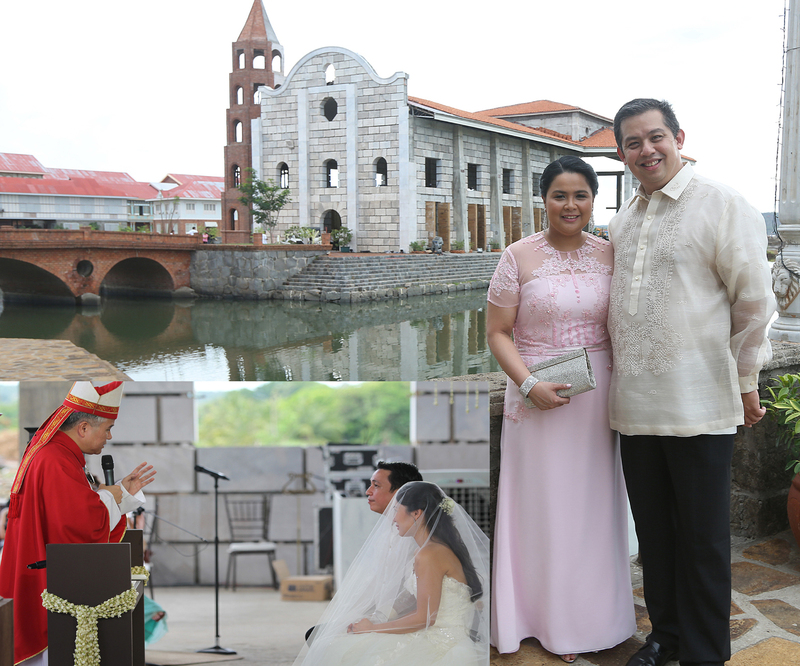 Romualdez to join VP’s ticket in 2016 July 7, 2014 Written by Ryan Ponce Pacpaco Published in Top Stories OPPOSITION House leader, Leyte (1st District) Ferdinand Martin G. Romualdez might join the senatorial line-up of Vice President Jejomar “Jojo” Binay if he decides to run for senator in 2016 along with Sarangani Rep. Manny “Pacman” Pacquiao…. 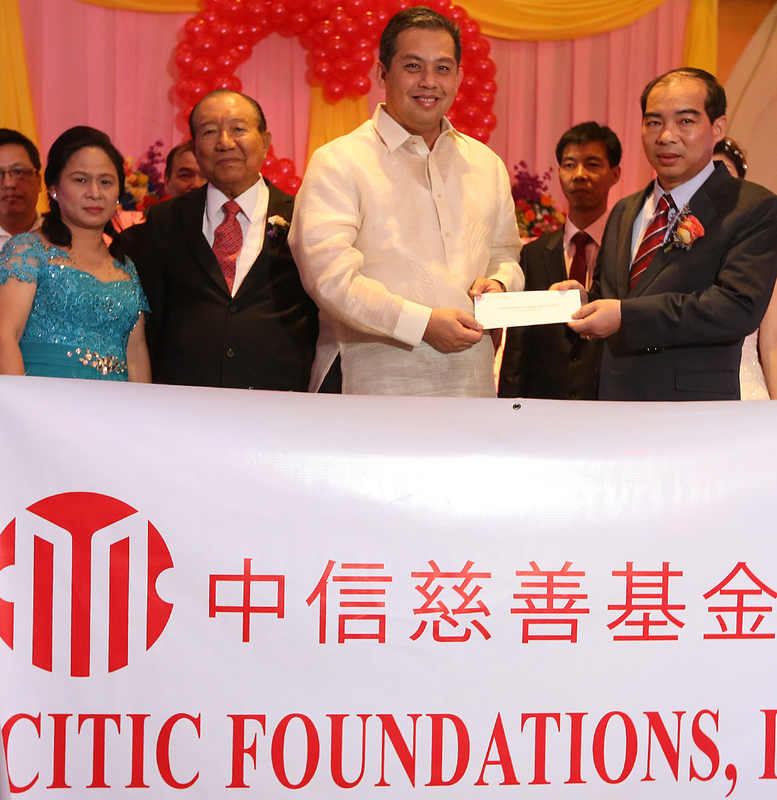 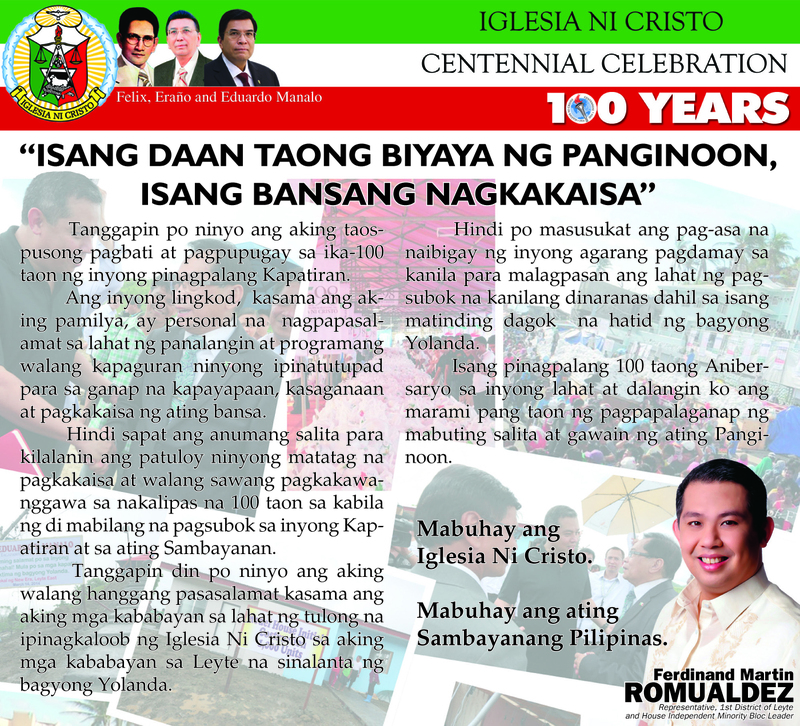 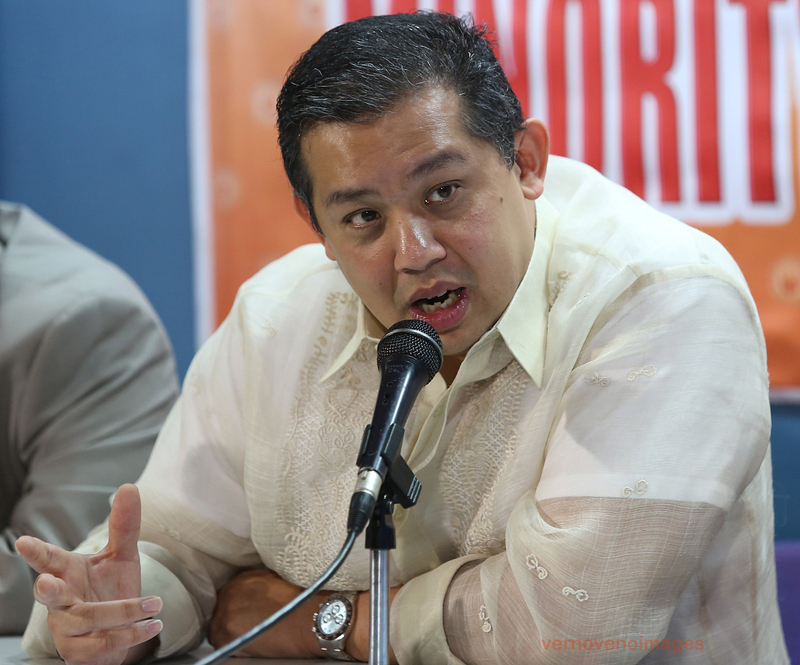 Romualdez lauds SC ruling on DAP July 1, 2014 Written by Ryan Ponce Pacpaco Published in Top Stories HOUSE independent minority bloc leader and Leyte (1st District) Rep. Ferdinand Martin “FM” G. Romualdez yesterday lauded the Supreme Court (SC) ruling declaring as unconstitutional parts of the Disbursement Acceleration Program (DAP) as Speaker Feliciano “Sonny” Belmonte Jr…. 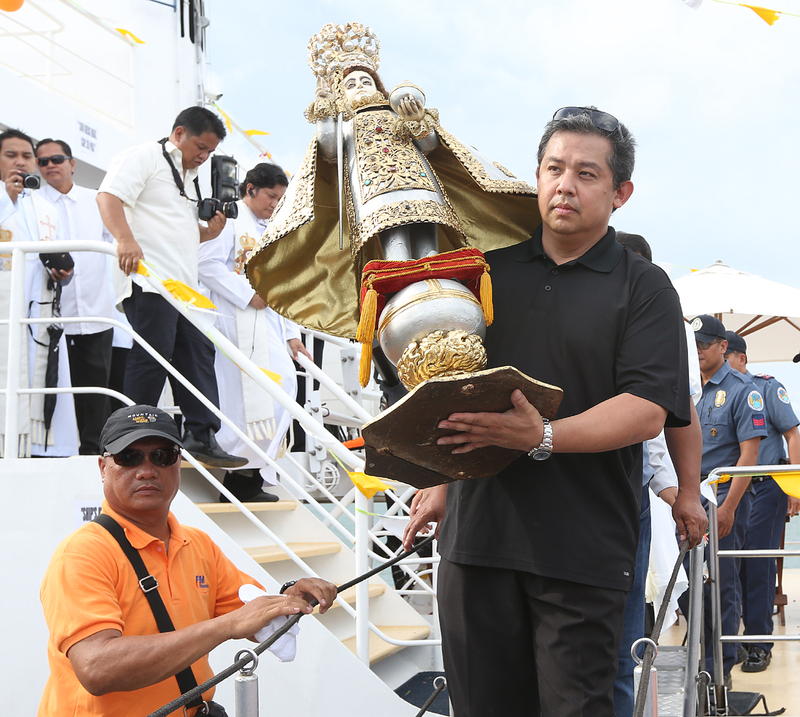 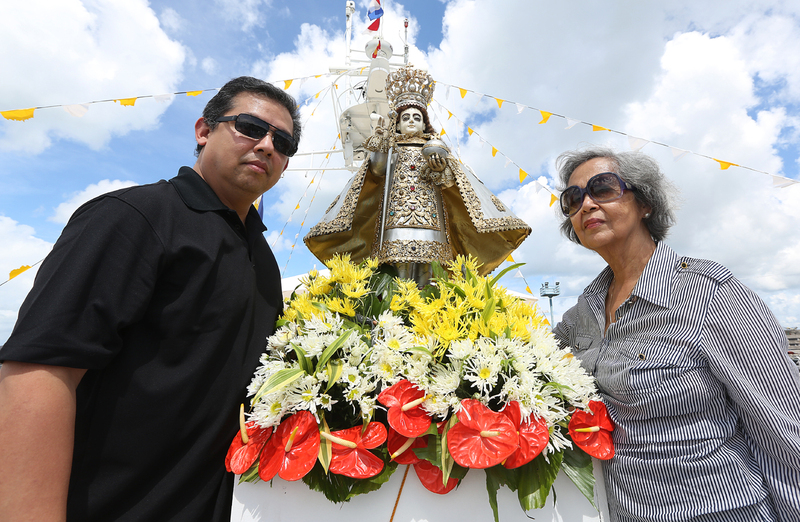 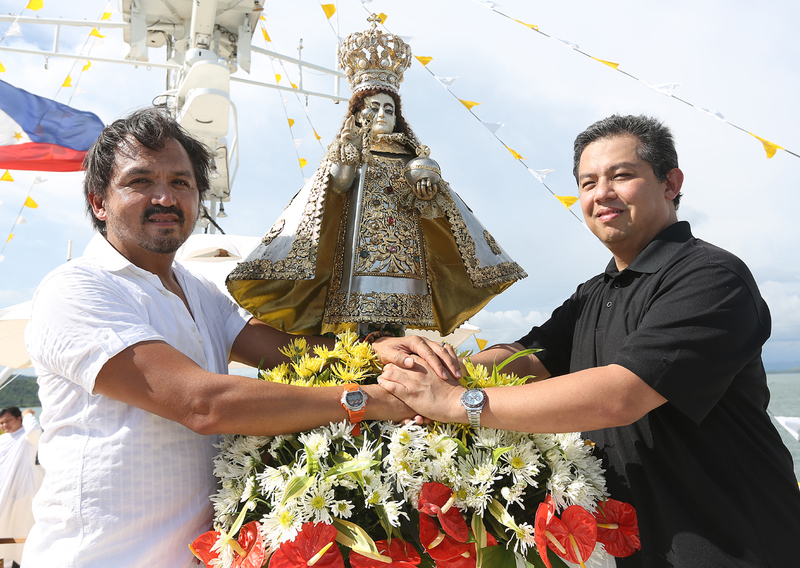 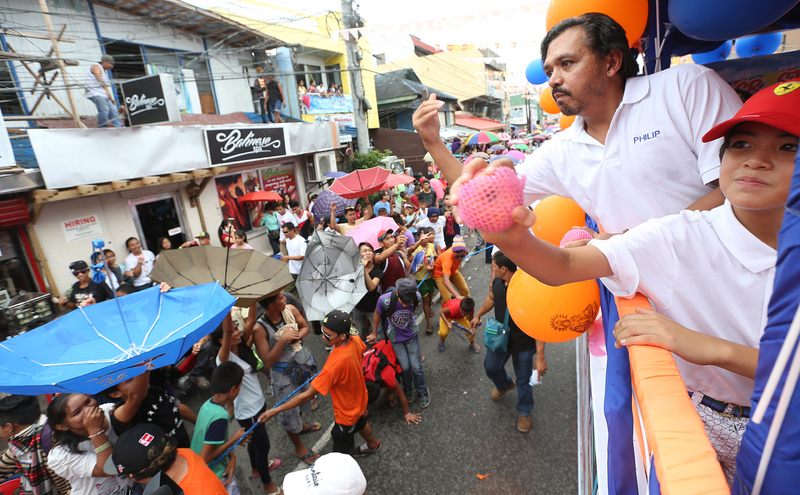 EL CAPITAN — Leyte (1st Dist) rep.Ferdinand Martin “FM” Romualdez brings down the miraculous image of Sr. Sto Nino (El Capitan) from LUBENICO Ship after the fluvial parade along San Juanico Strait in Tacloban City then the procession of the image followed towards Sto Nino Church.The City is celebrating 125th Fiesta in honor of sr…. 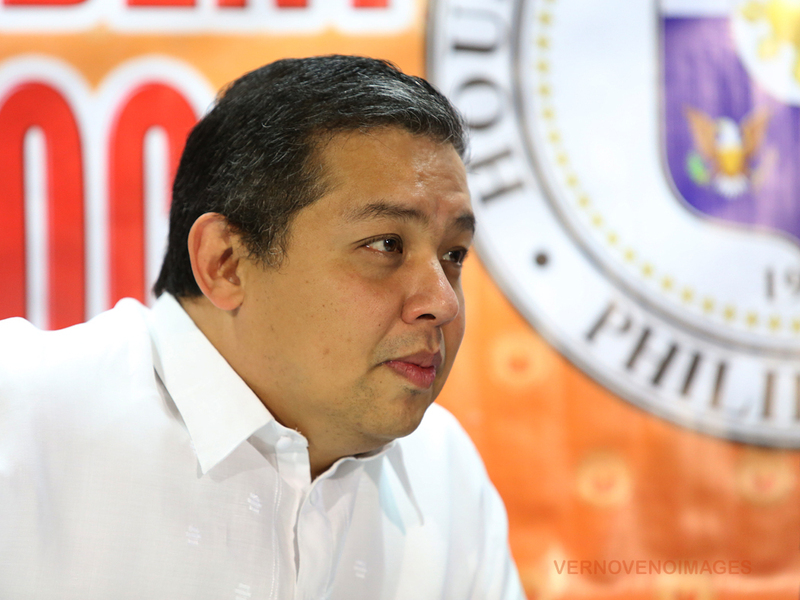 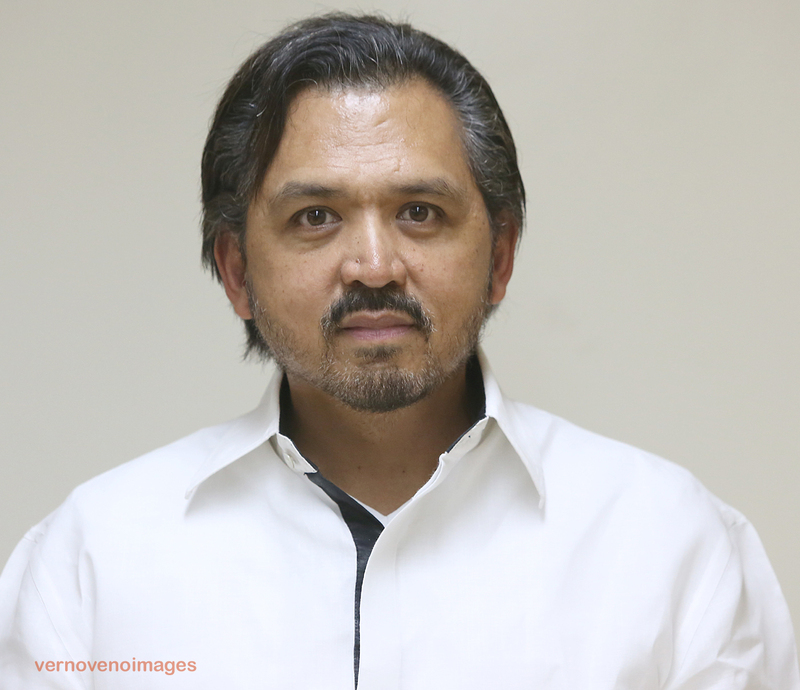 File pork scam charges now, Romualdez urges gov’t Published : Tuesday, May 27, 2014 00:00 Article Views : 108 UNTIL the government files charges against those involved in the P10-billion pork barrel scam, its alleged architect Janet Lim-Napoles will continue to hold hostage Malacañang with her requests and appeal, Leyte Rep. Ferdinand Romualdez said…. 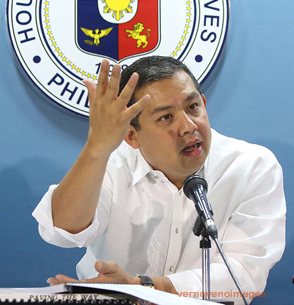 Ryan Ponce Pacpaco May 13 STORY #1 “NAPOLES” PRESIDENT Benigno “Noynoy” Aquino III should stop treating his allies with kid gloves after former Sen. Panfilo “Ping” Lacson named Budget Sec. 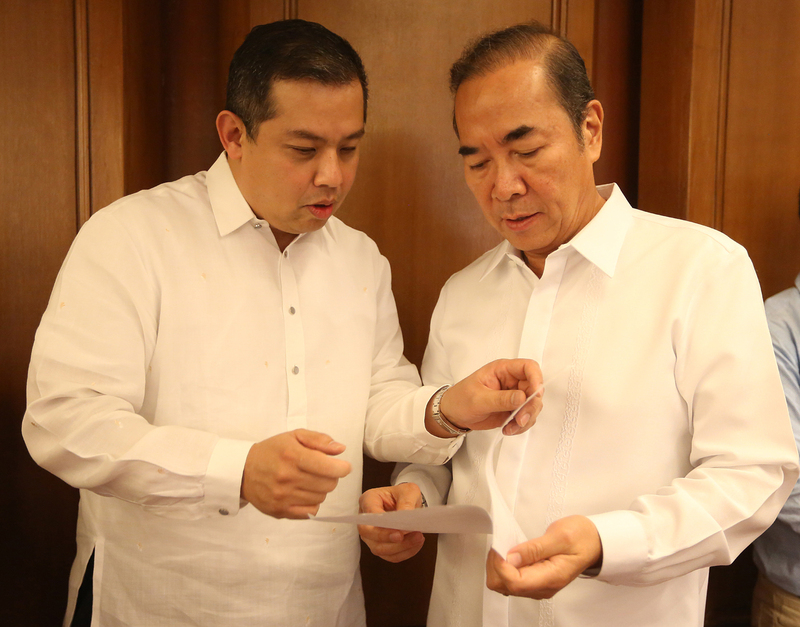 Florencio “Butch” Abad Jr. as one of those allegedly implicated by businesswoman Janet Lim Napoles and whistleblower Benhur Luy in the multibillion-peso pork barrel scam…. 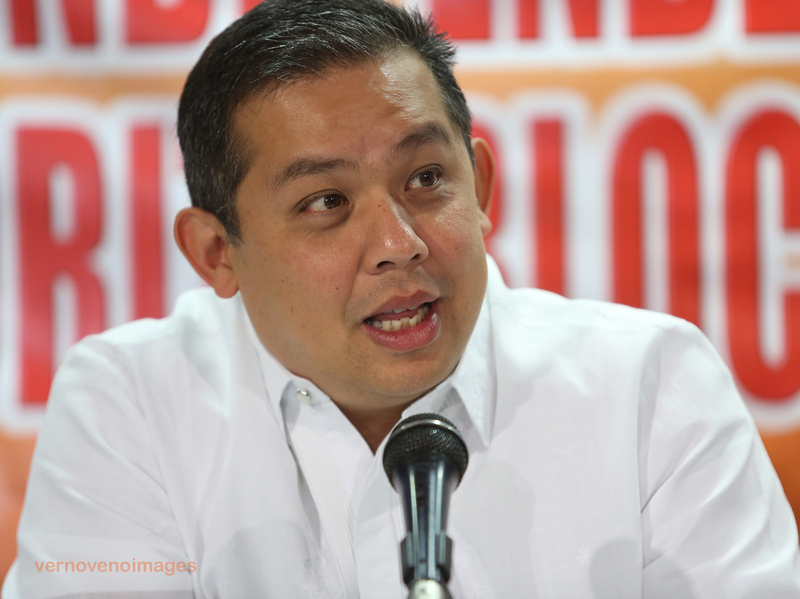 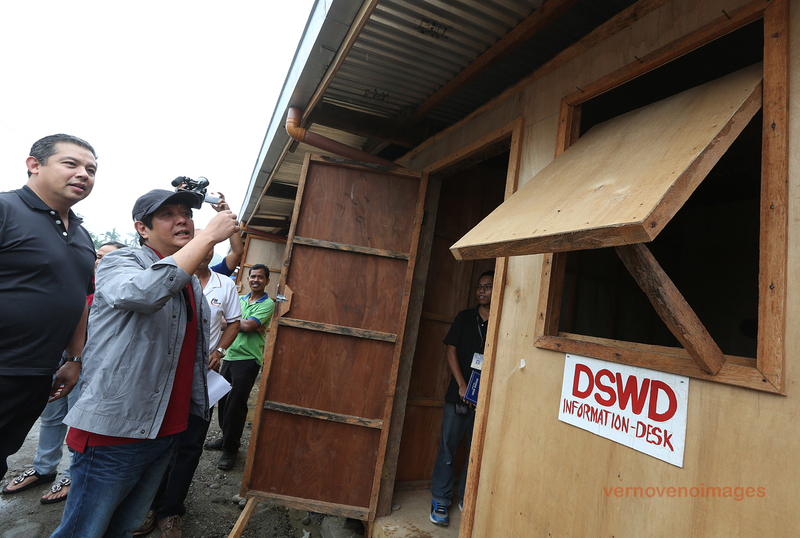 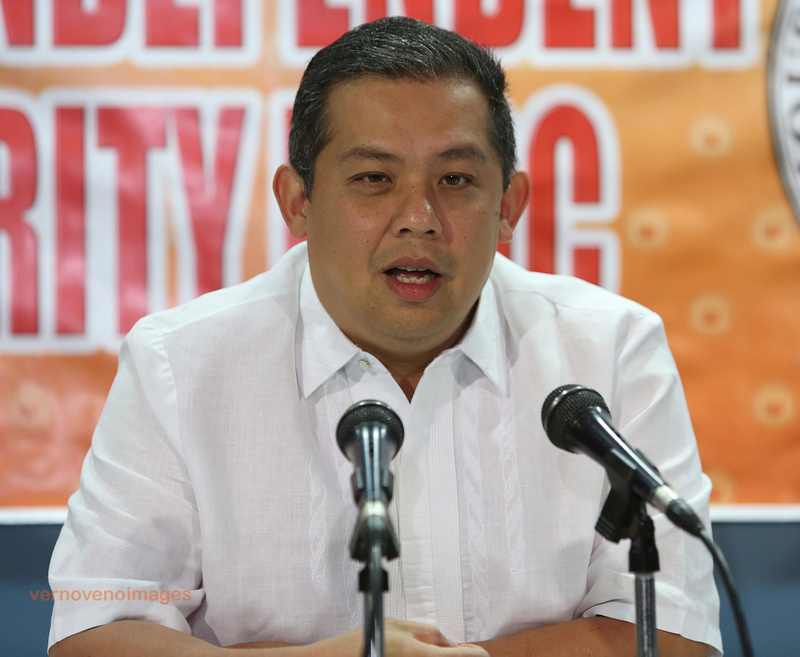 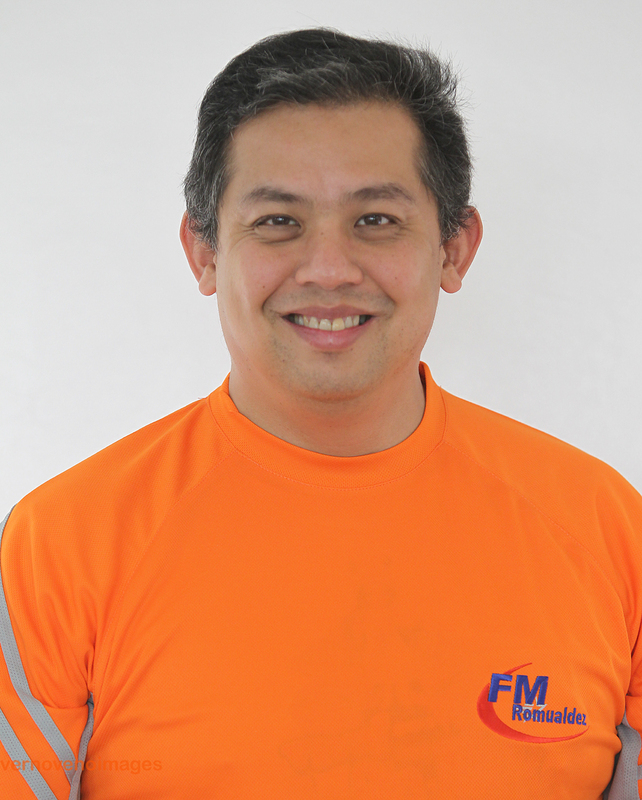 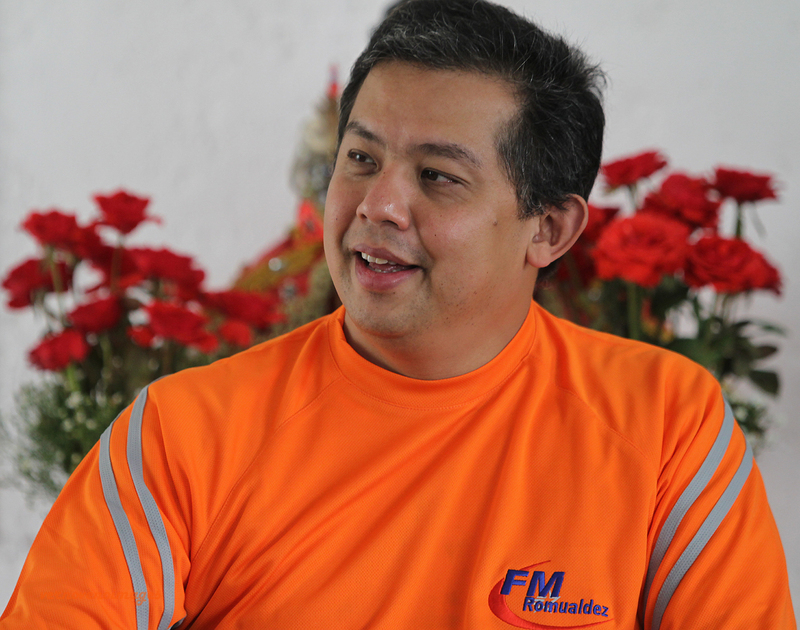 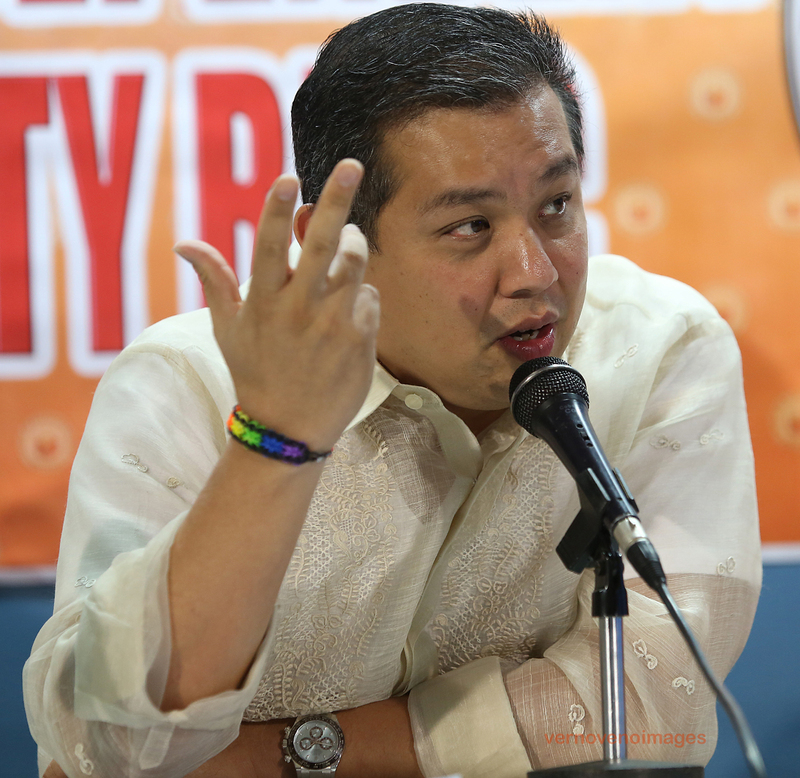 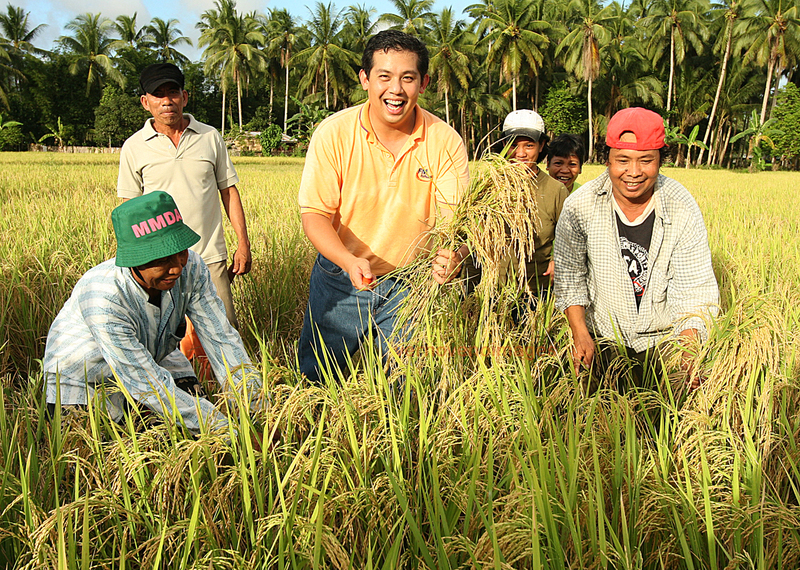 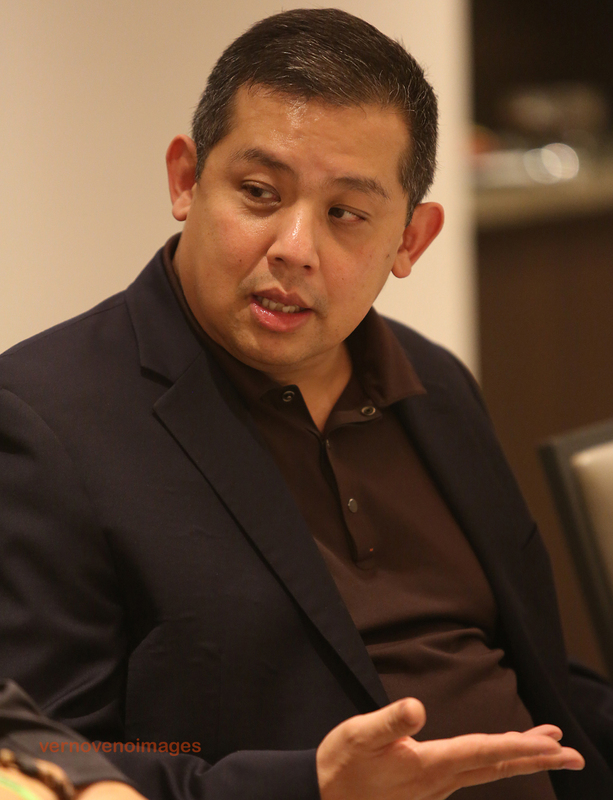 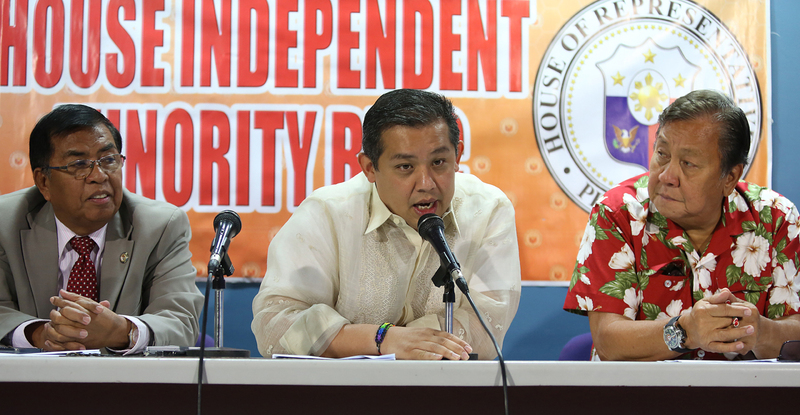 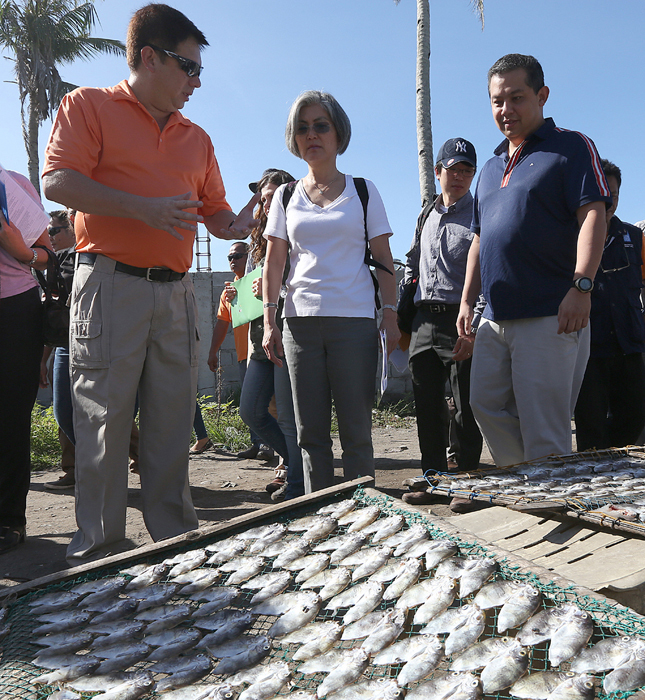 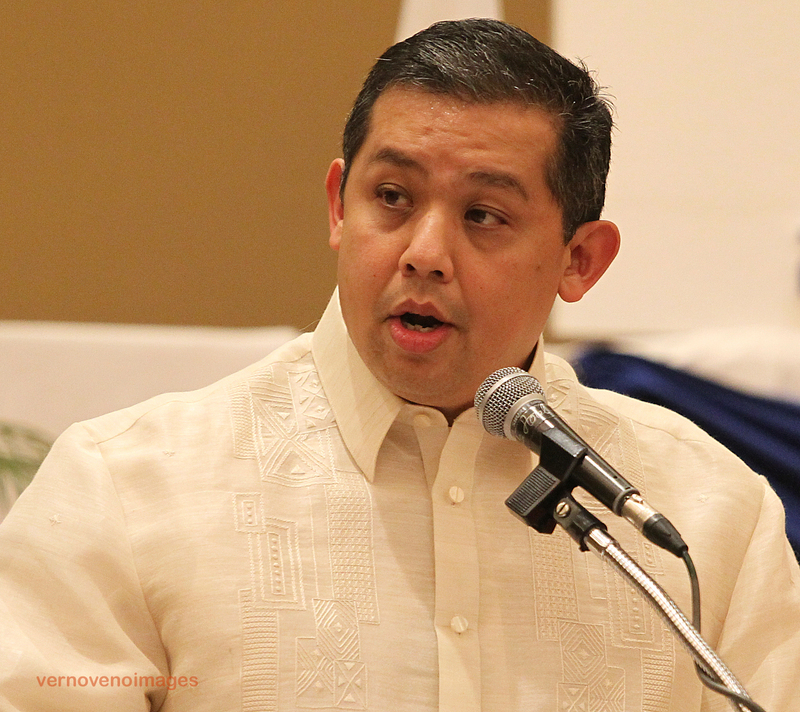 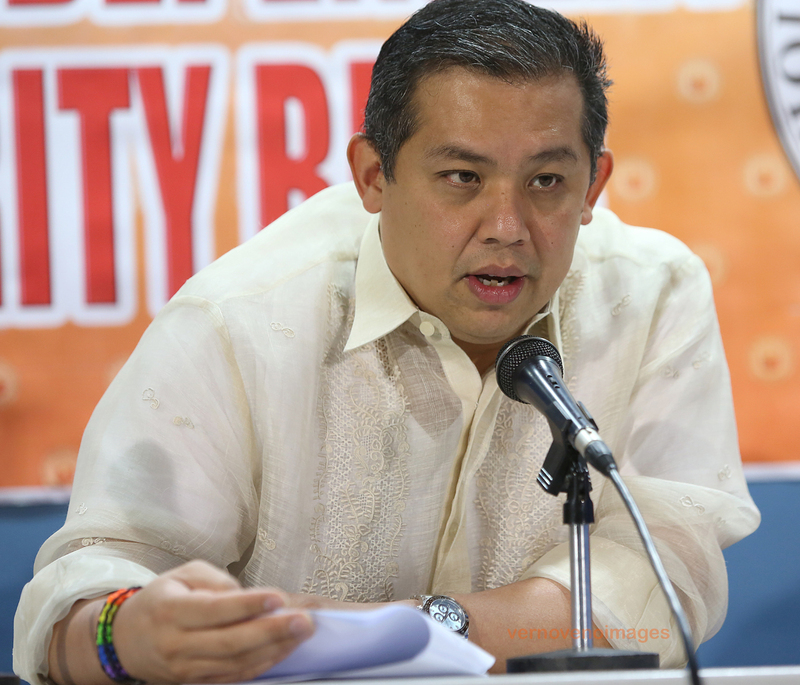 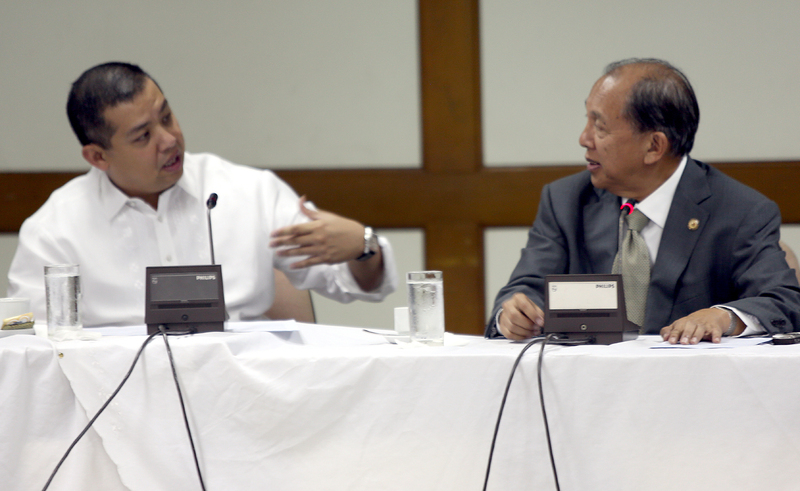 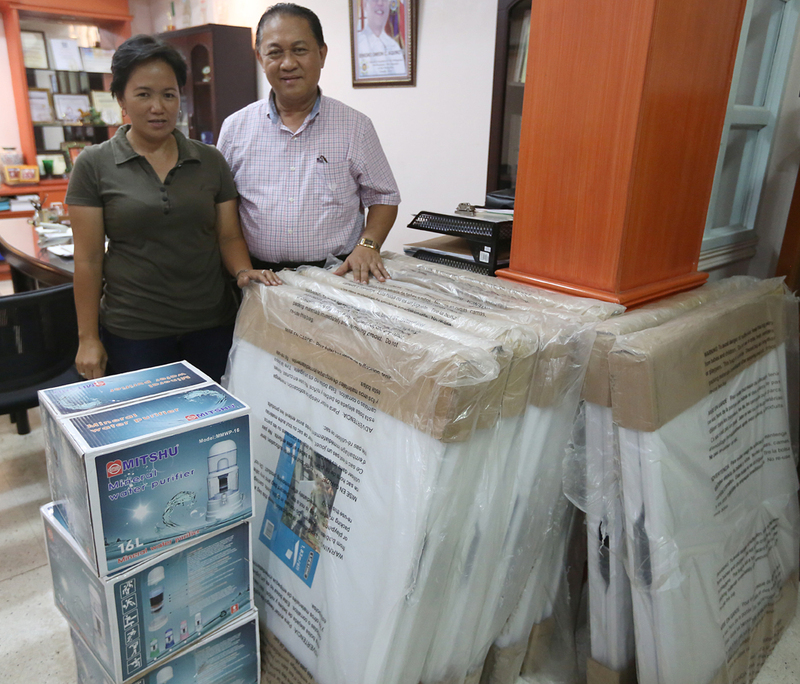 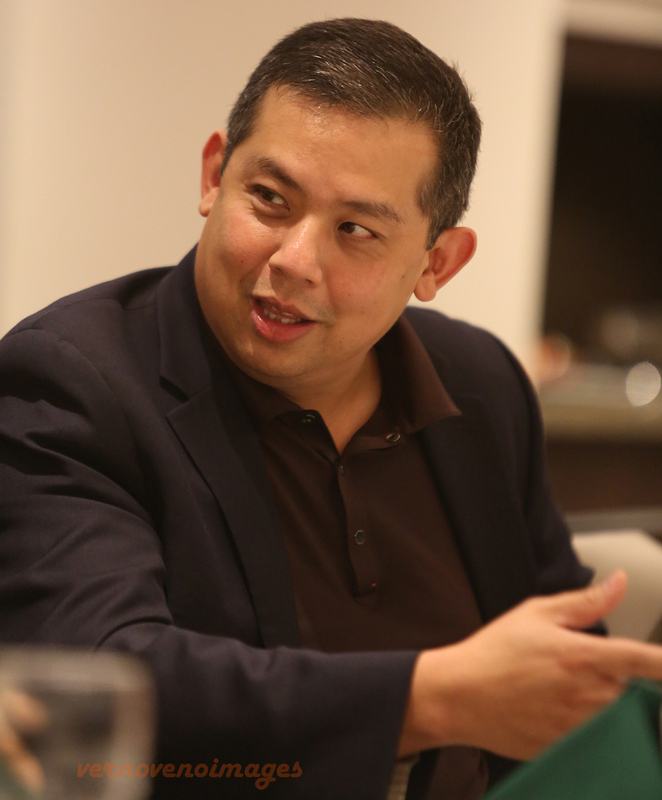 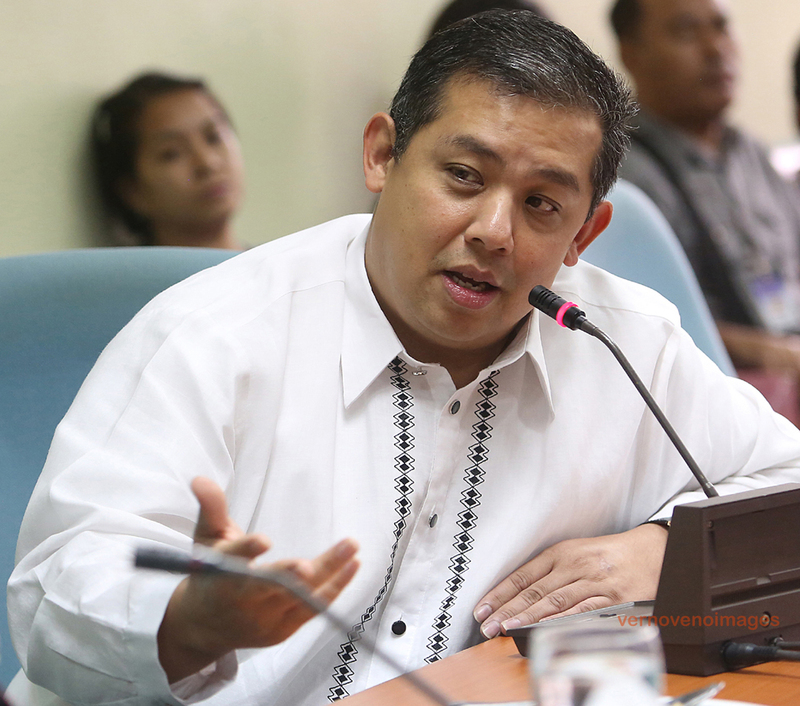 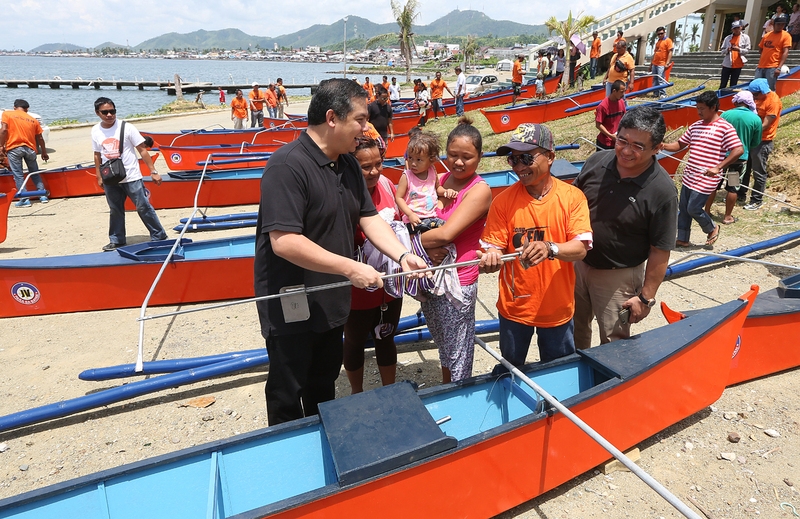 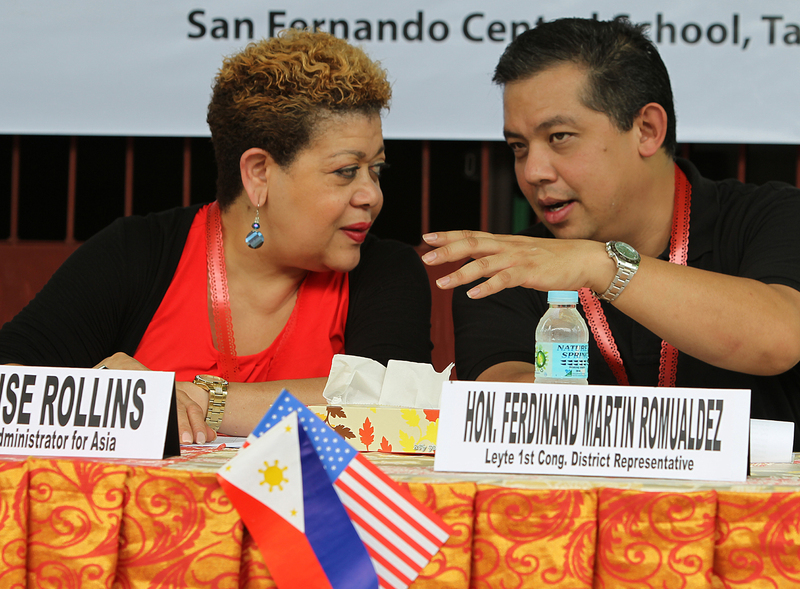 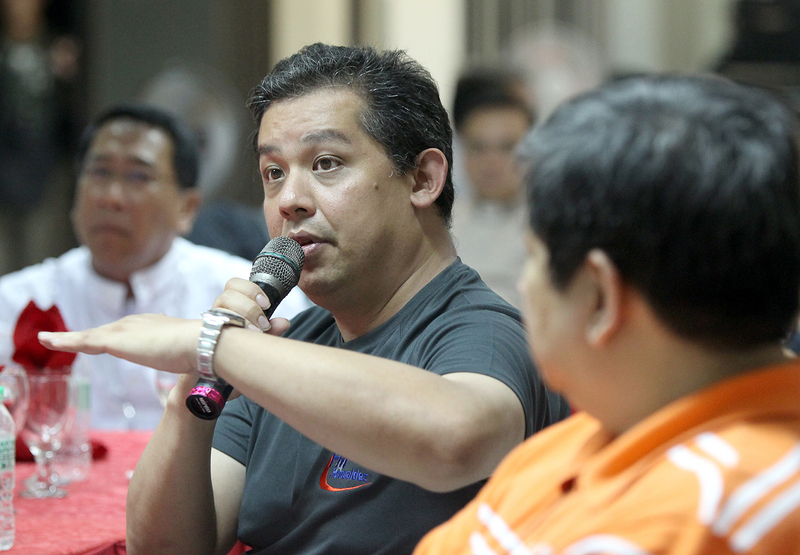 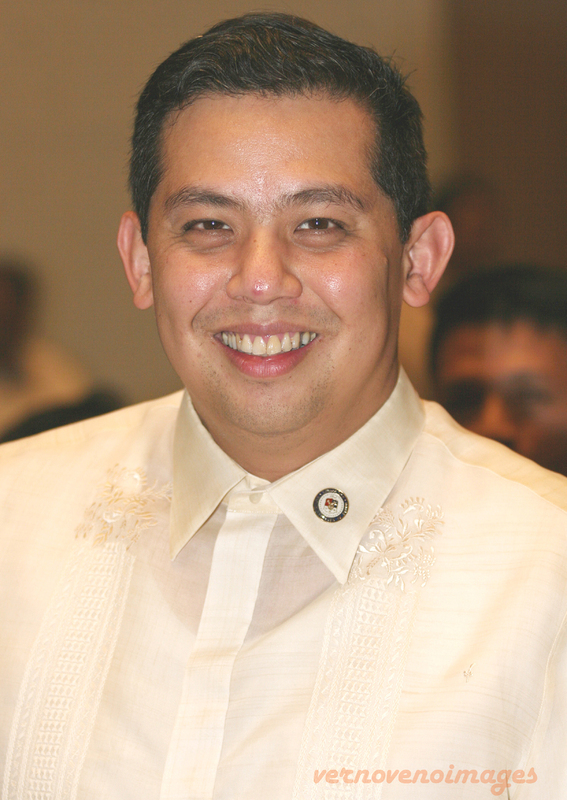 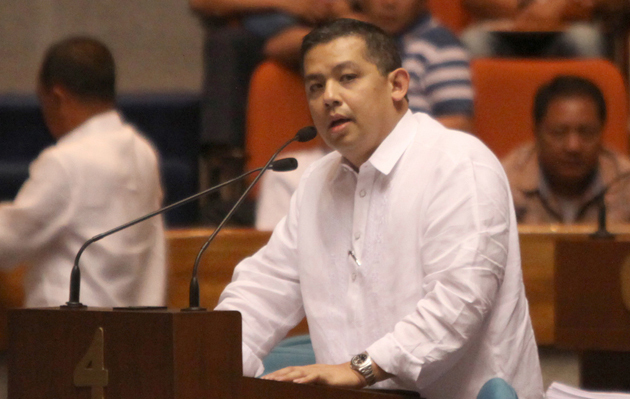 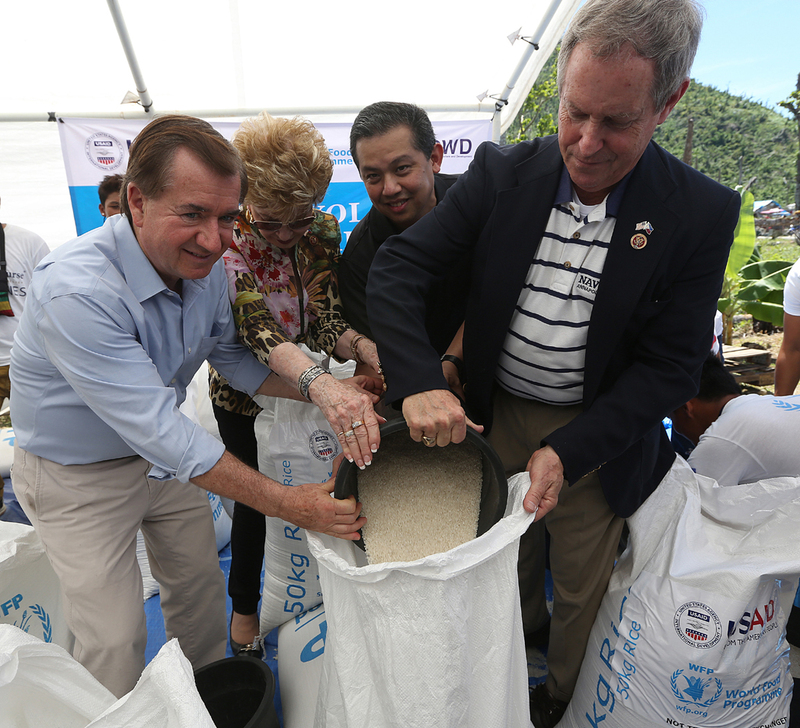 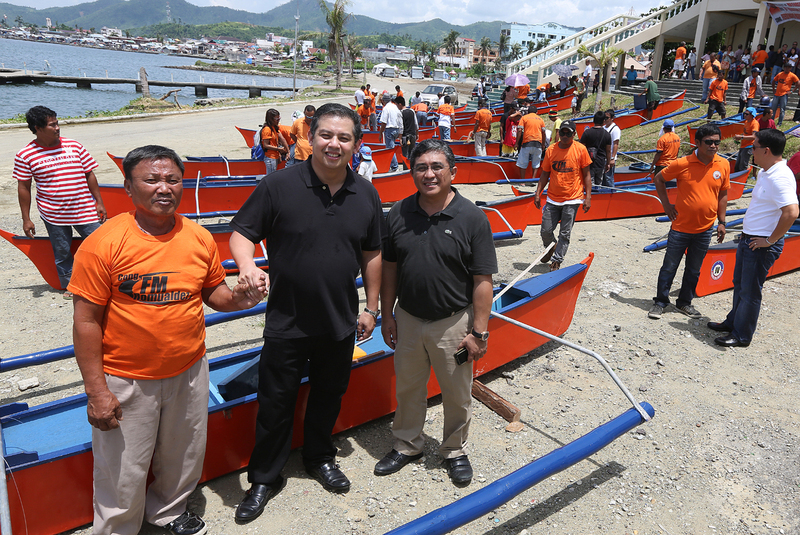 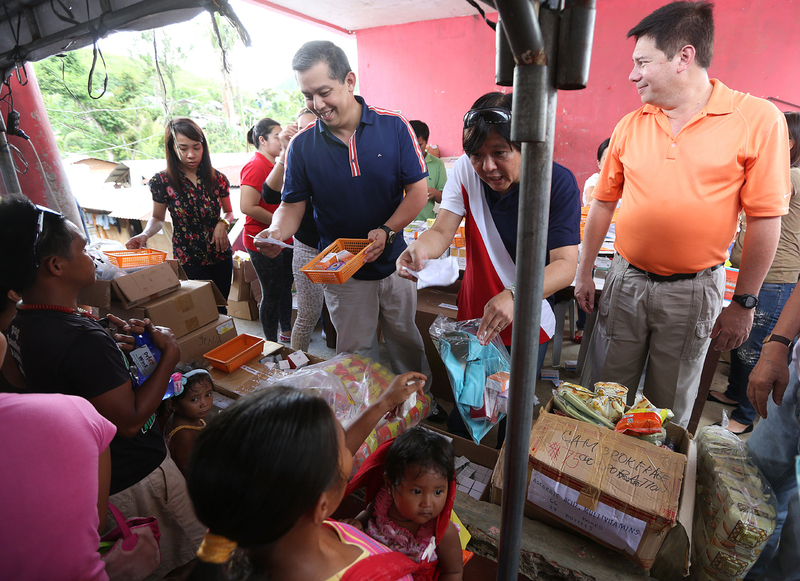 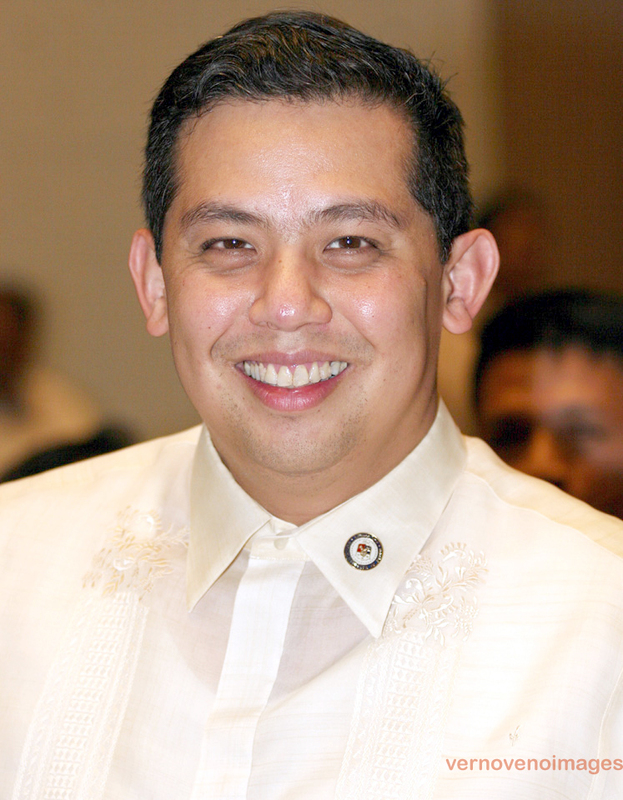 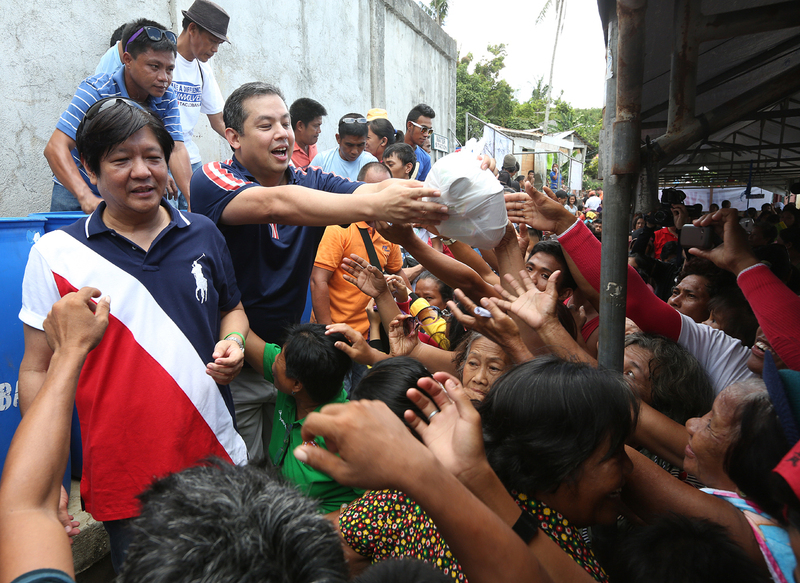 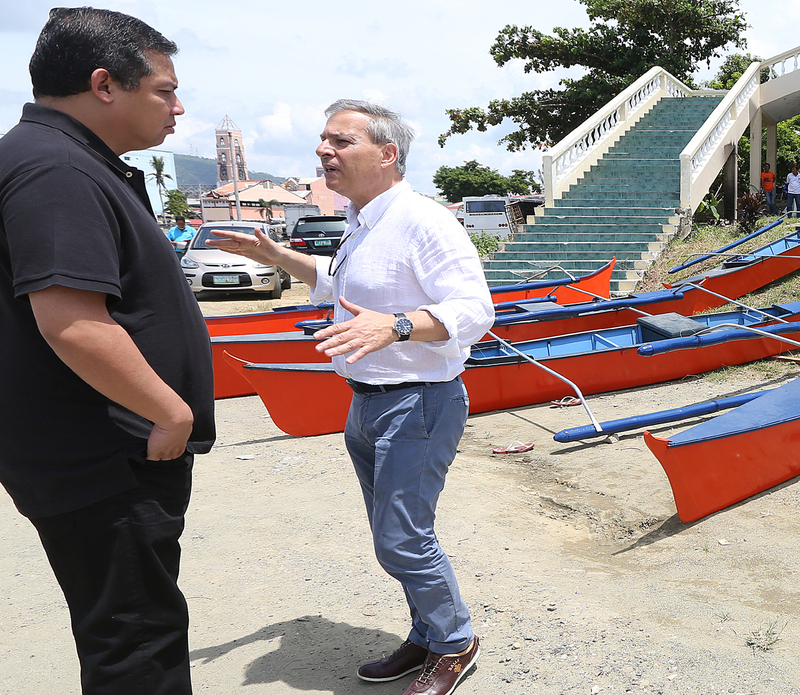 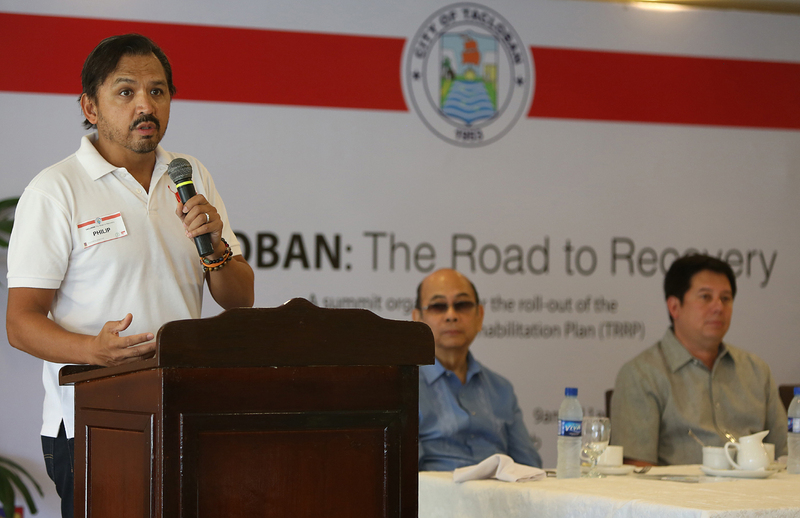 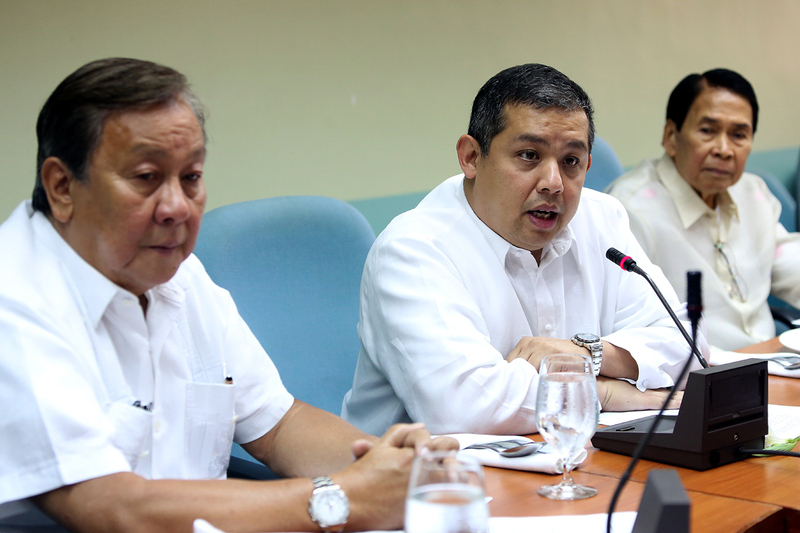 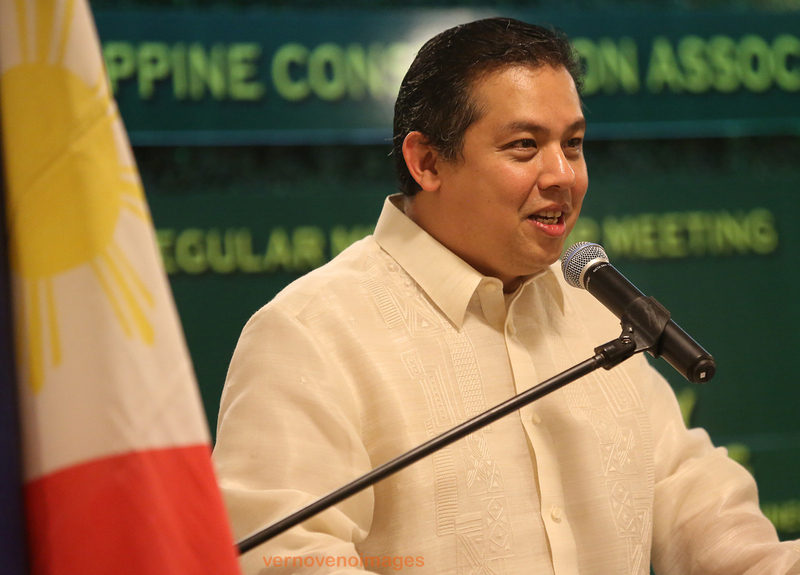 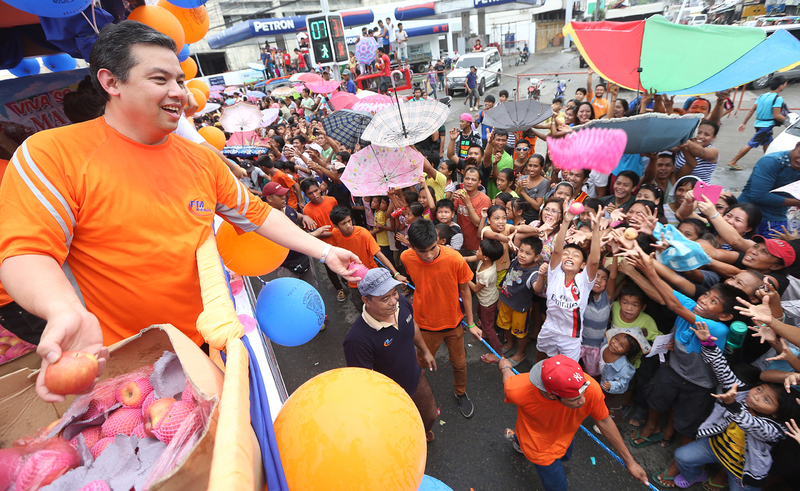 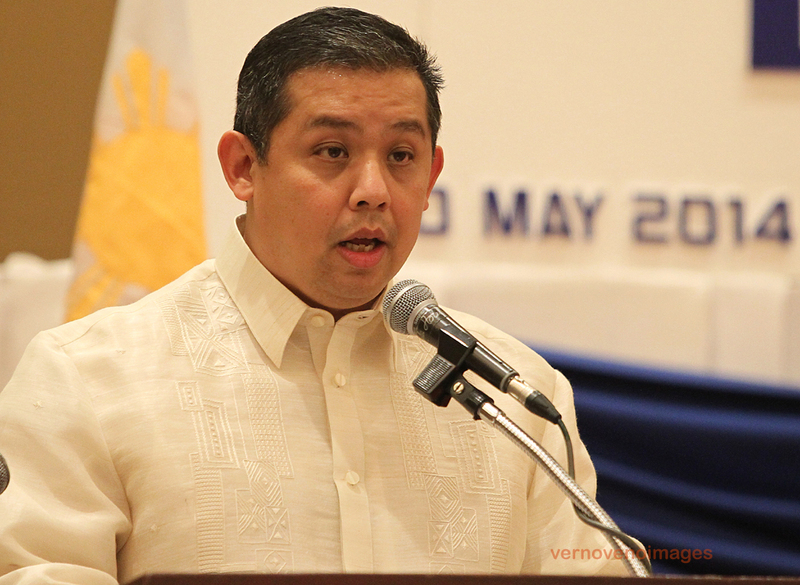 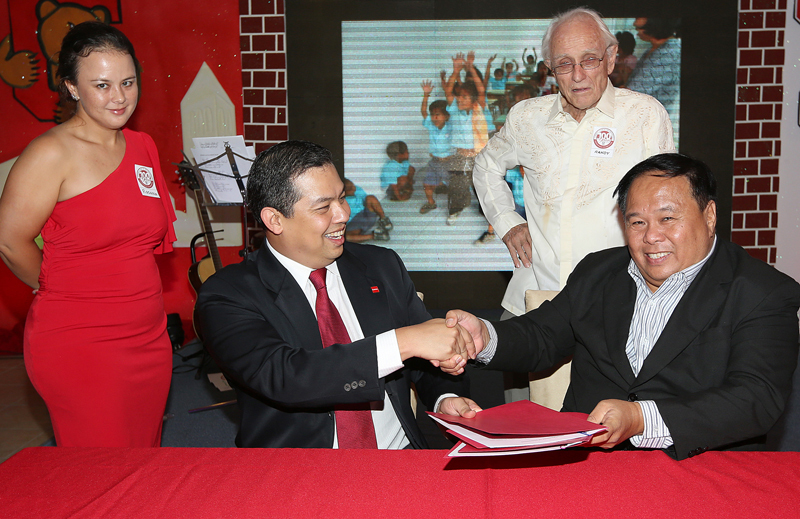 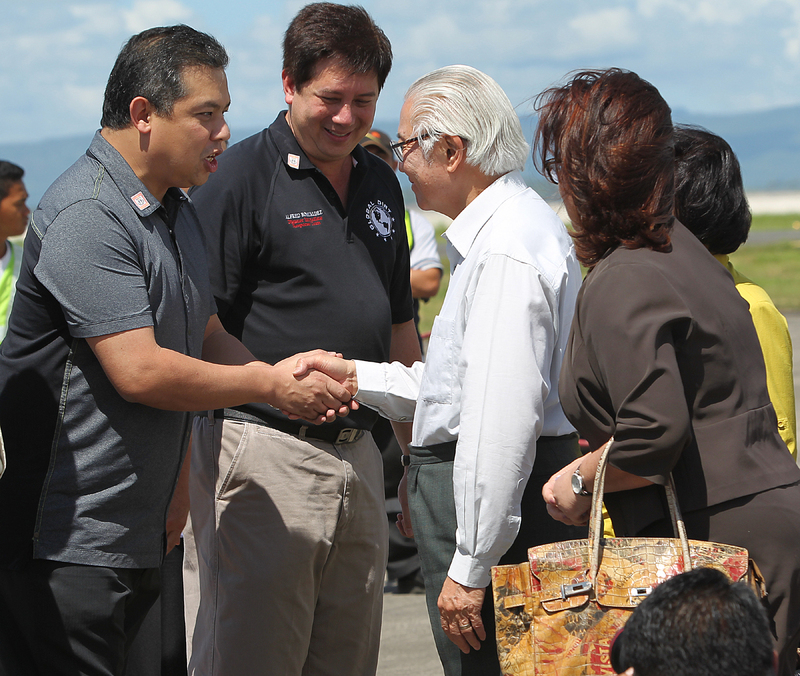 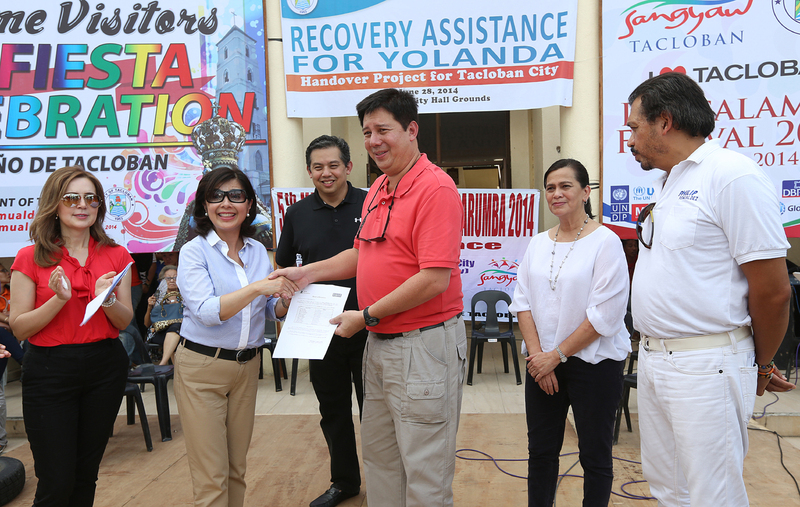 Romualdez vows to scrutinize EDCA, gov’t plans vs El Niño Published : Tuesday, May 06, 2014 00:00 Article Views : 70 THE House Independent Minority Bloc led by Leyte (1st District) Rep. Ferdinand Martin “FM” G. Romualdez has vowed to scrutinize several issues and measures that may have strong impacts on the lives of Filipinos…. 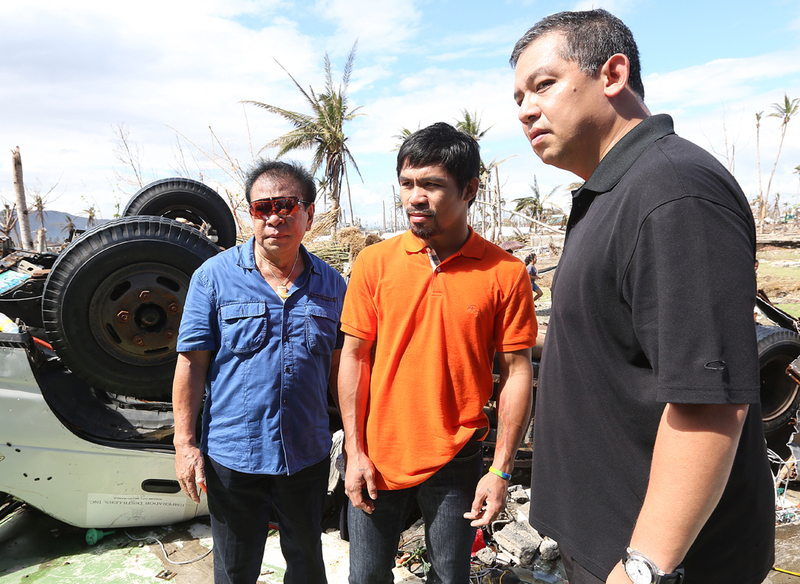 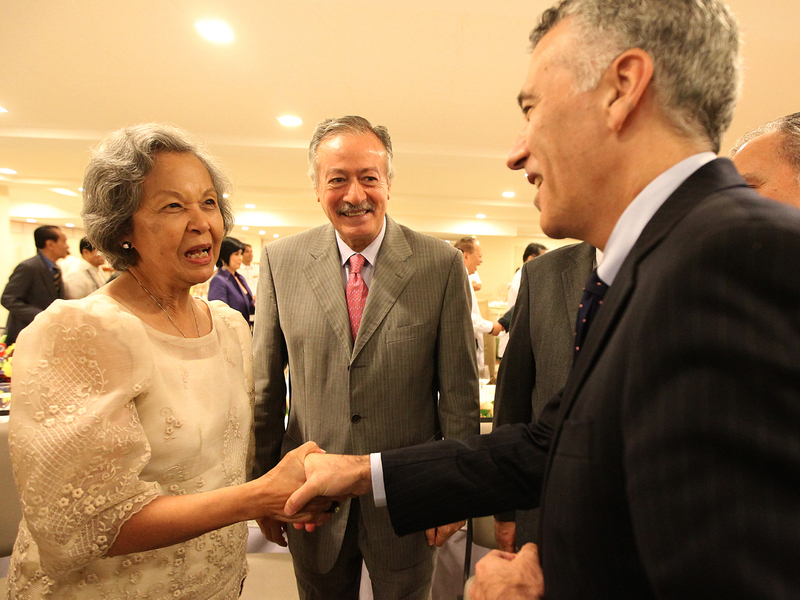 NEXT PACQUIAO FIGHT IN PH? 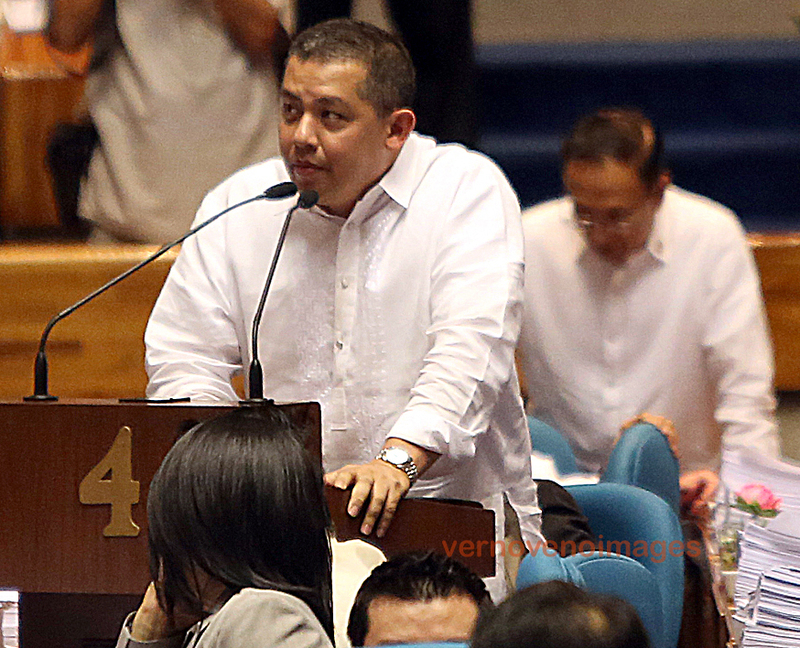 POLITICAL BIAS HIT Published : Thursday, April 03, 2014 00:00 Article Views : 124 Written by : Ryan Ponce Pacpaco THE House independent minority bloc yesterday assailed the seeming continued political persecution of critics of the Aquino administration, demanding that Palace allies should also be charged in connection with the alleged multibillion-peso pork barrel scam…. 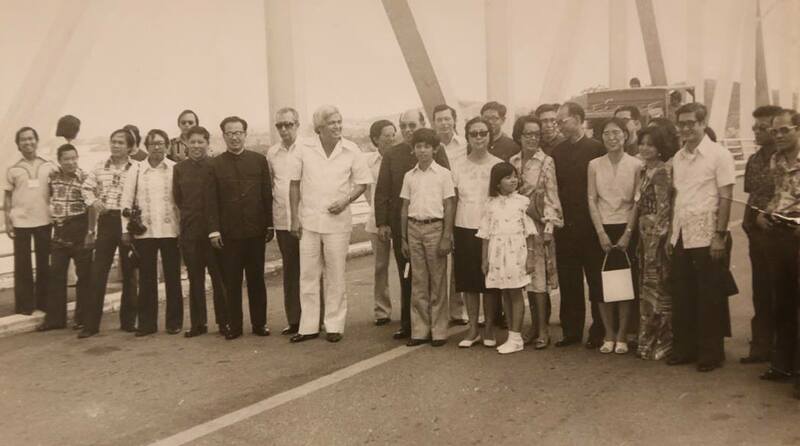 Leyte Gov.Benjamin “KOKOY” Romualdez with son Ferdinand Martin,daughter Marian and wife Juliette with visitor Chinese Ambassador Ke Hua at San Juanico Bridge 1975. 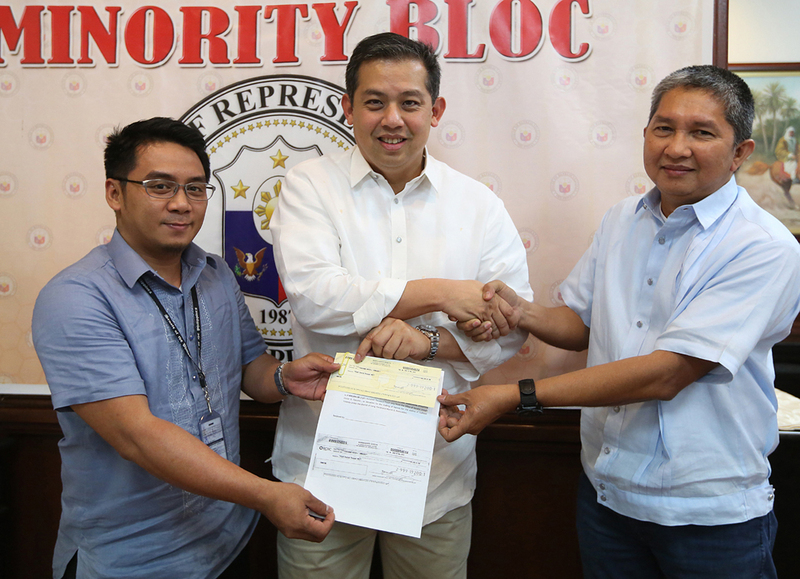 FOR PEACEFUL ELECTION House Assistant Minority Leader and Leyte (1st Dist) Rep. Ferdinand Martin “FM” Romualdez signing a peace covenant for the clean,honest,accountable,meaningful,and peaceful Election 2013 witnessed by the representatives from the DILG,PNP,FIRE,Prosecutors,PPCRV,and Church.The signing of the peace covenant for the local elective offices of Tacloban City was held at Sto. 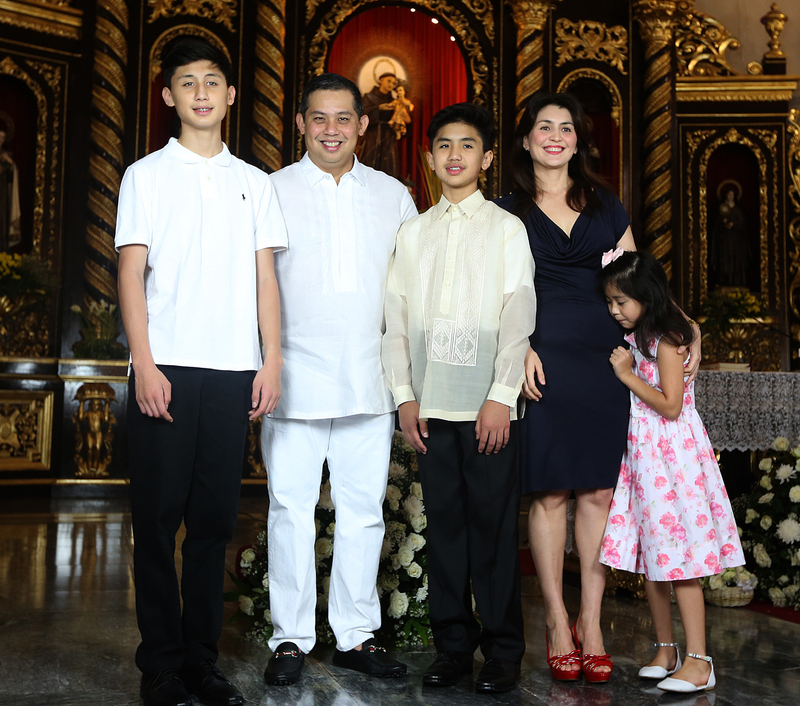 Nino Church. 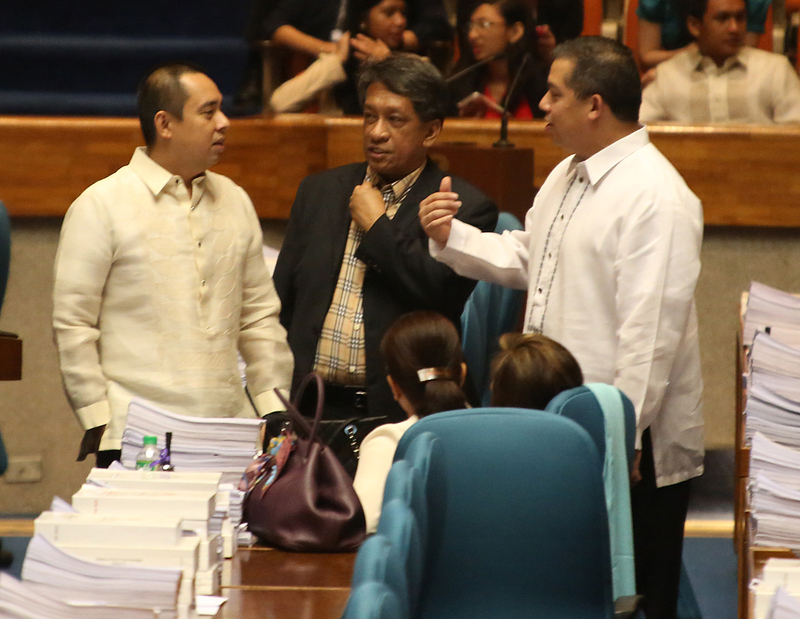 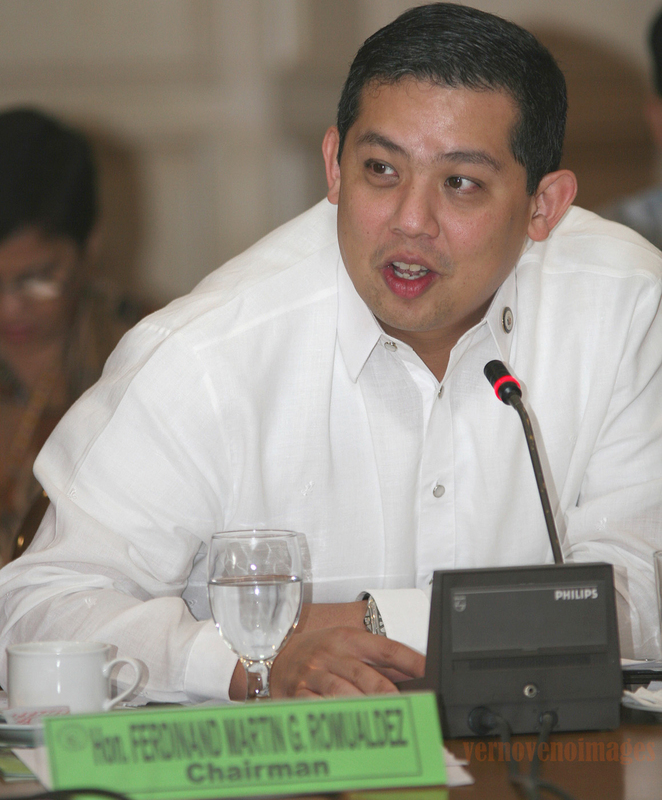 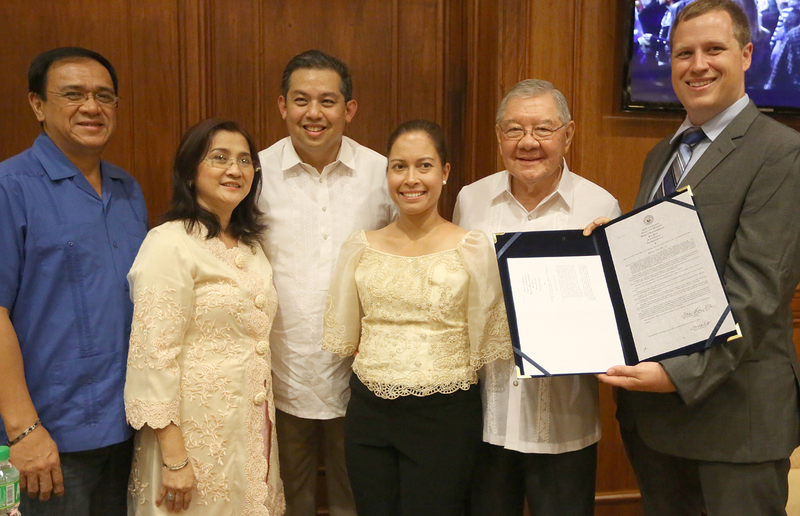 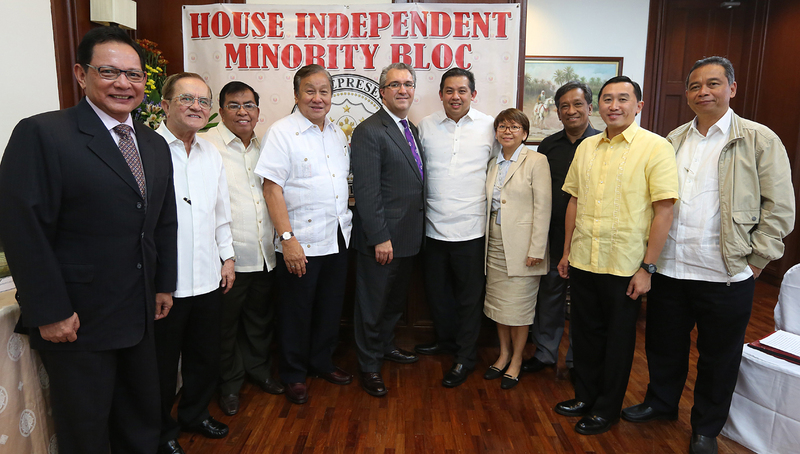 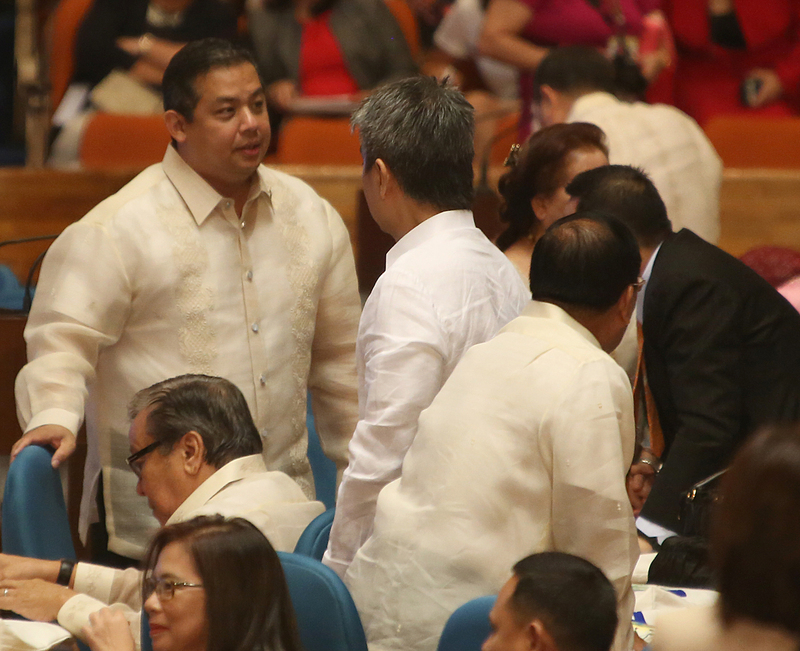 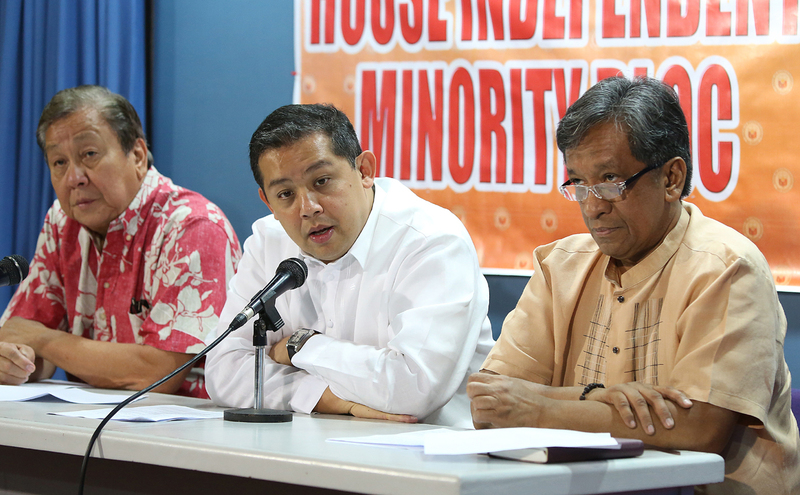 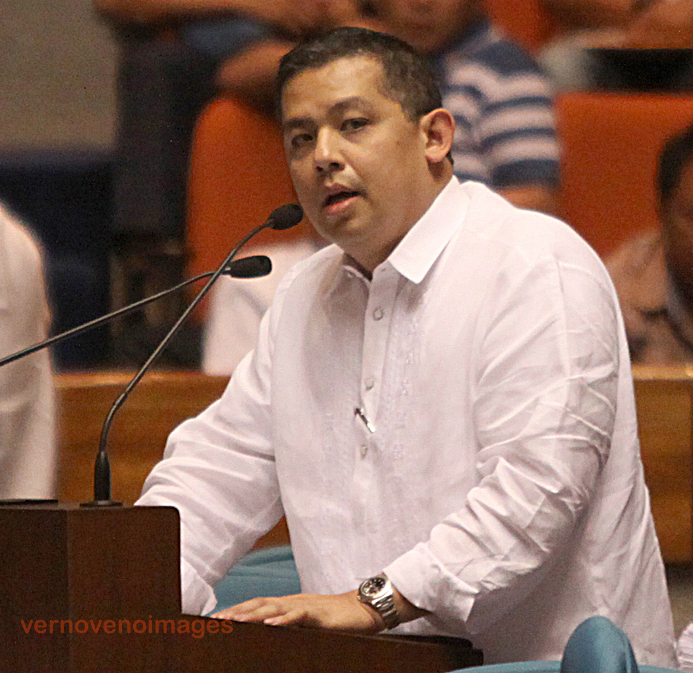 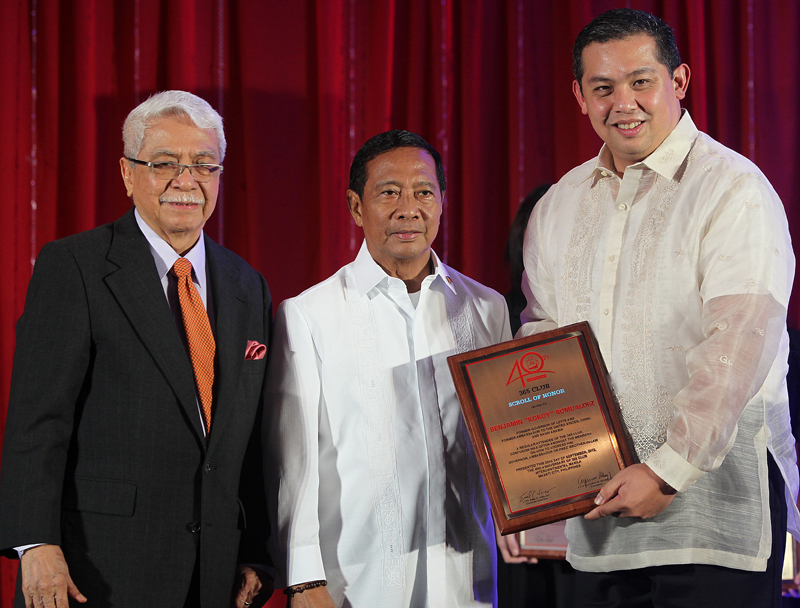 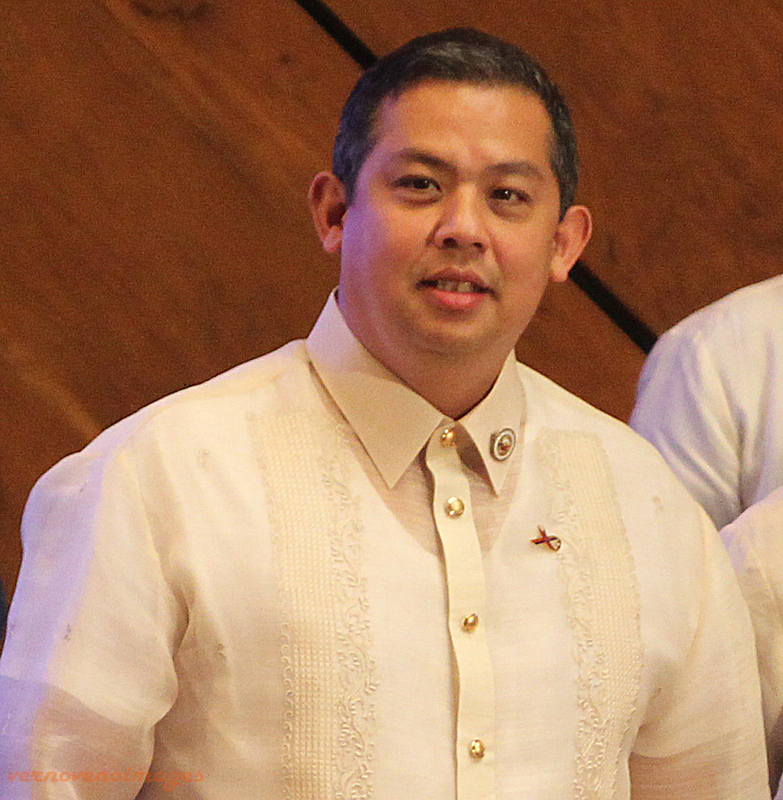 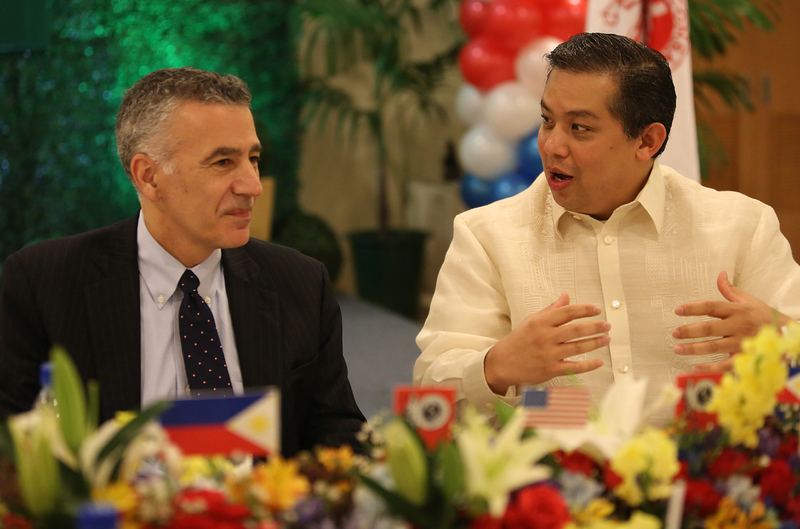 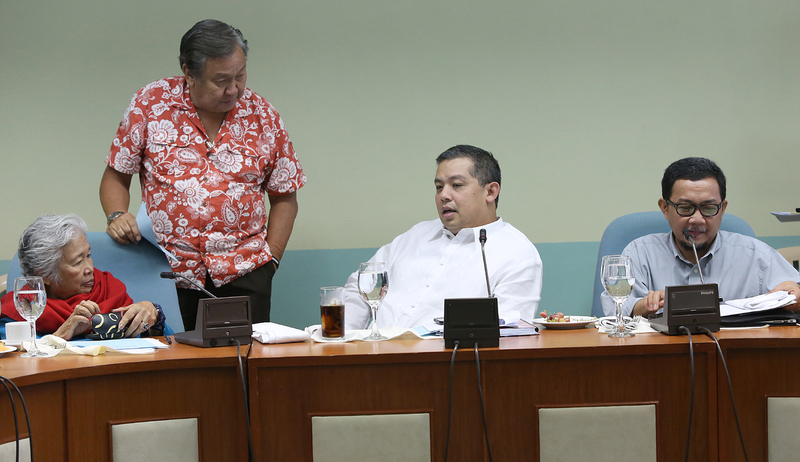 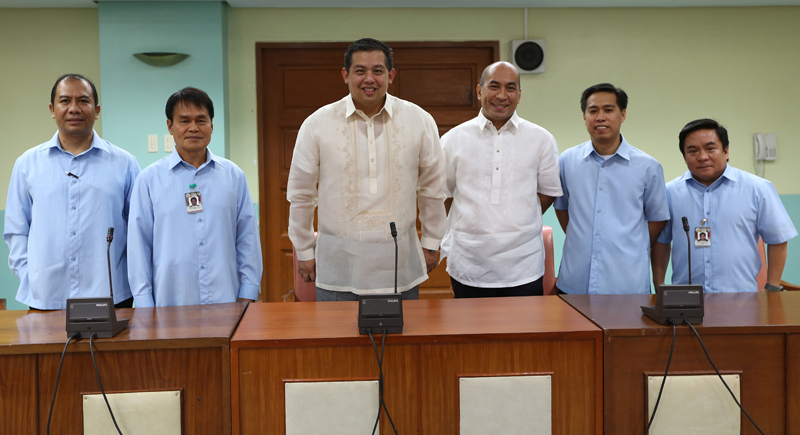 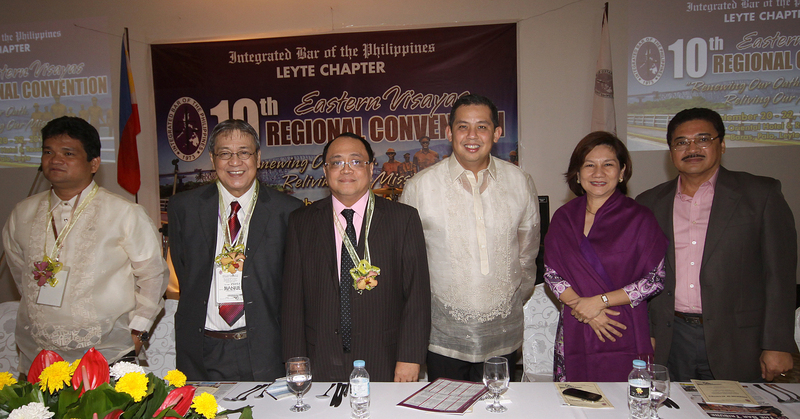 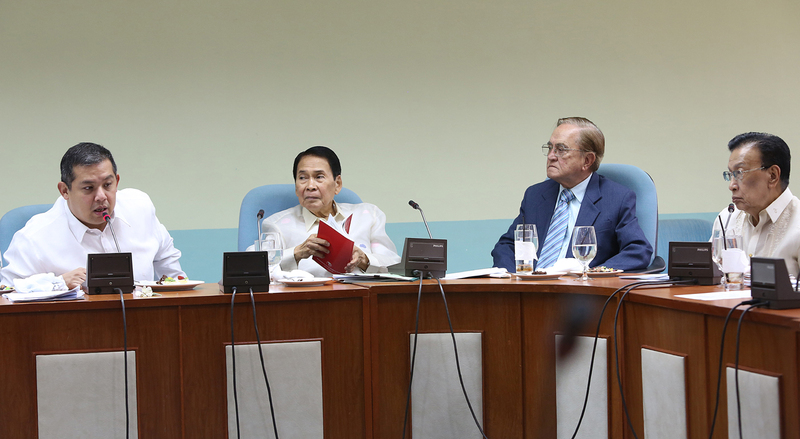 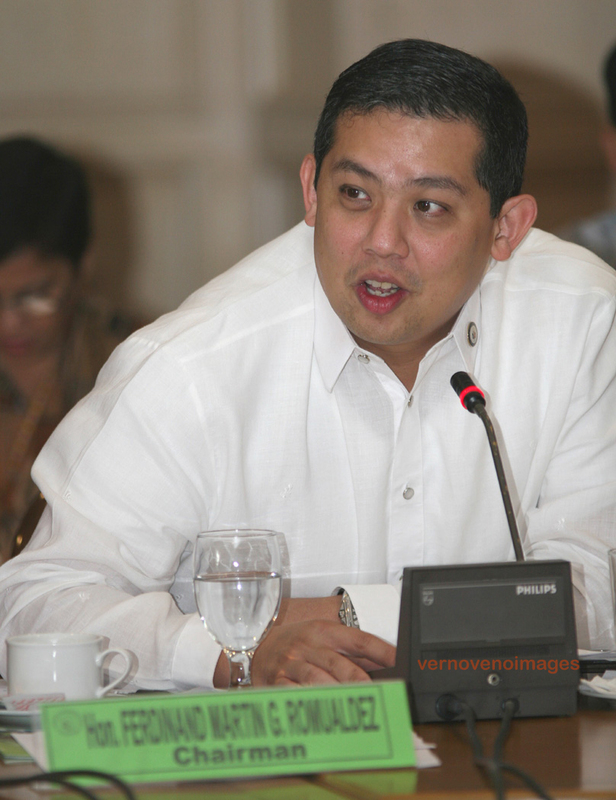 Through the Leadership of of House Speaker Feliciano “Sonny” Belmonte Jr. and in the presence of 184 Lawmakers the Plenary of the House of Representatives elected House Assistant Minority Leader and Leyte (1st Dist) Rep. Ferdinand Martin “FM” Romualdez as new Chairman of the House Committee on Ethics. 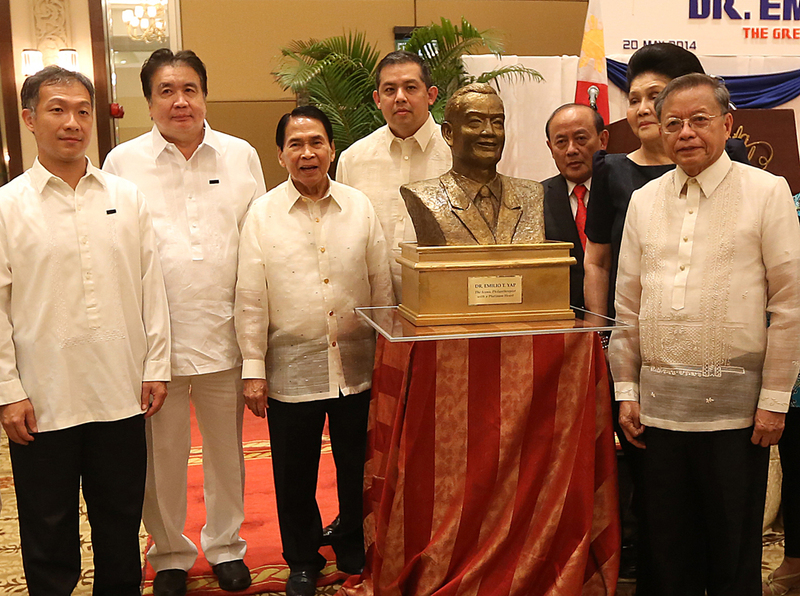 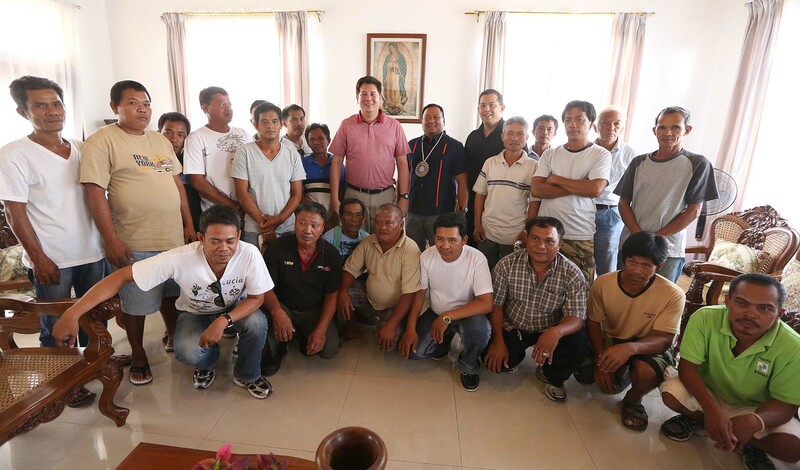 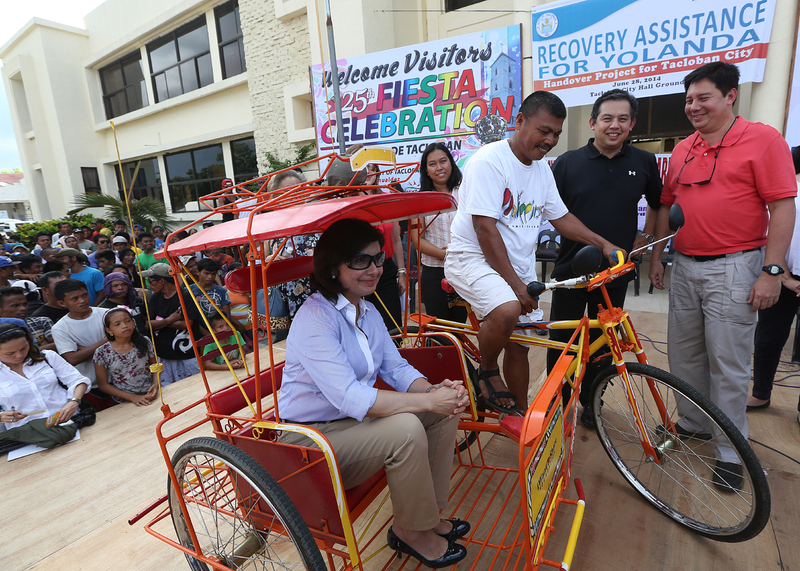 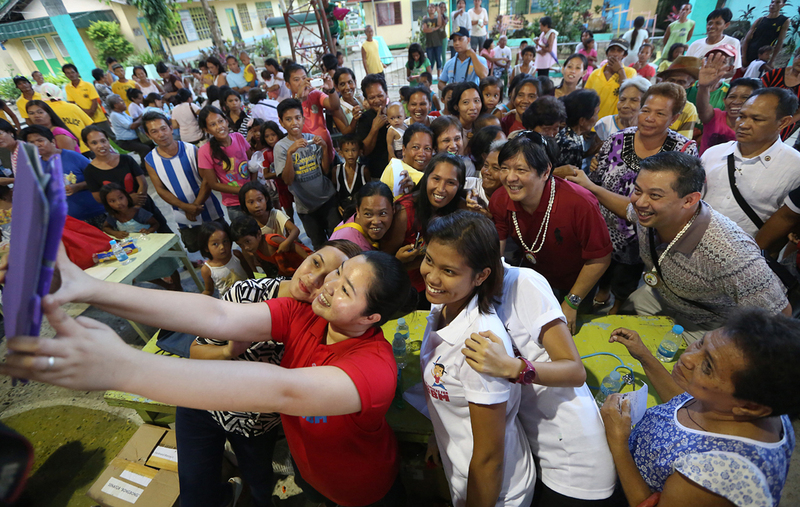 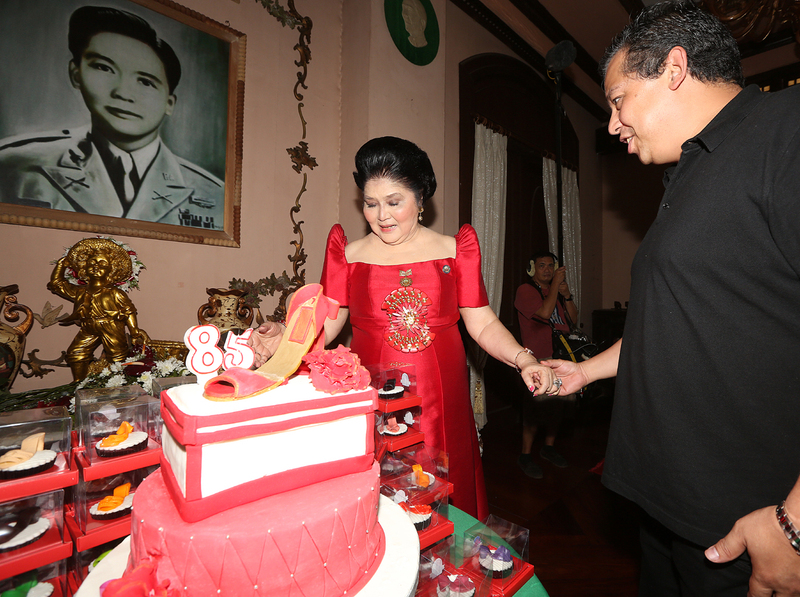 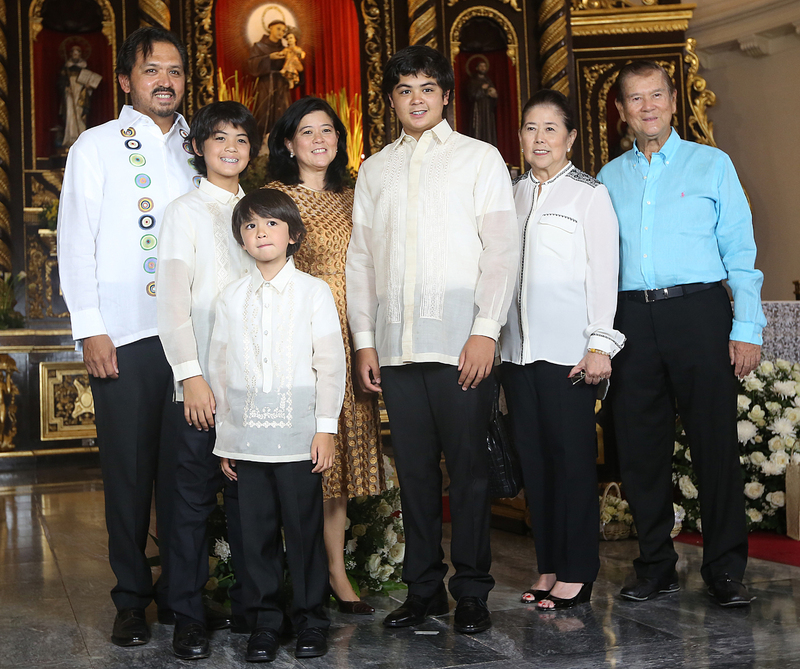 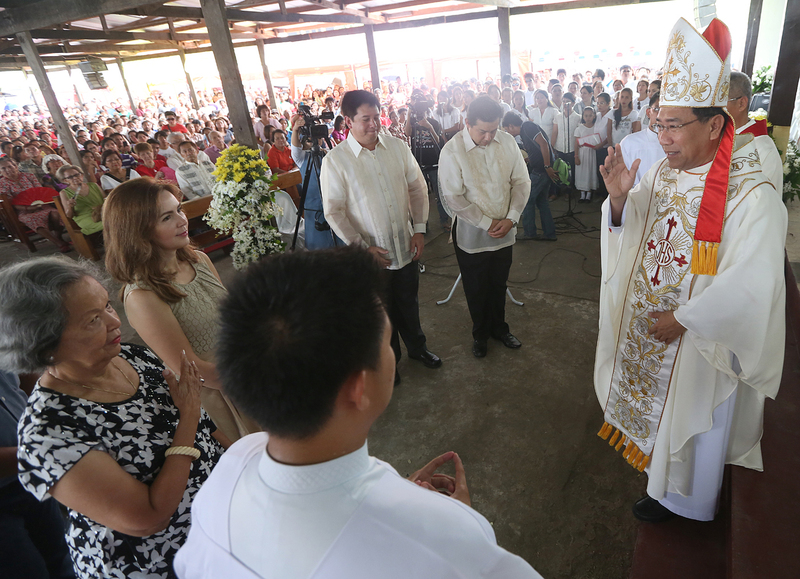 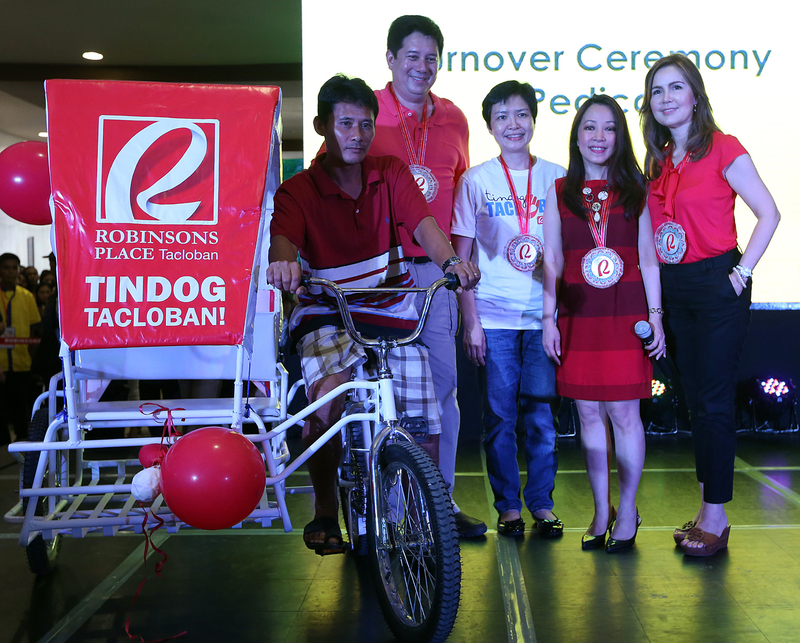 House Assistant Minority Leader and Leyte (1st Dist) Rep. Ferdinand Martin “FM” Romualdez (7th left), Senator Bong Bong Marcos (5th right), Former Mayor Mark Jimenez (left) and wife Councilor Ina Jimenez (2nd left) posed with Barangay Chairmen and Chairwomen during the Celebration of the Feast of Sto Nino in Tanauan Leyte. 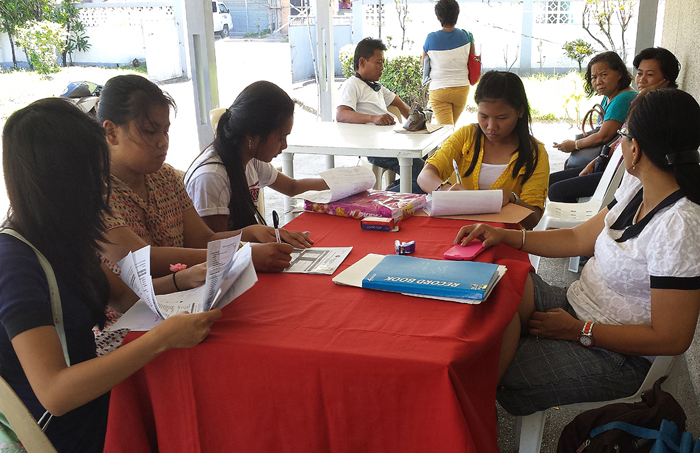 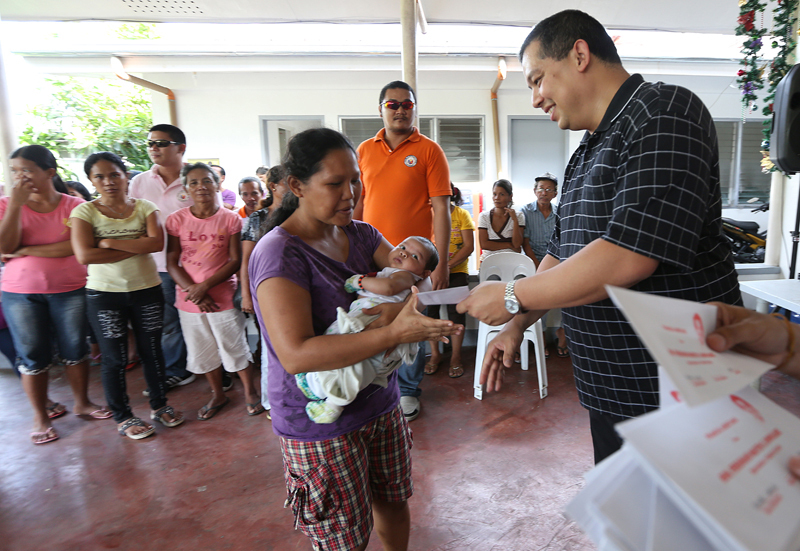 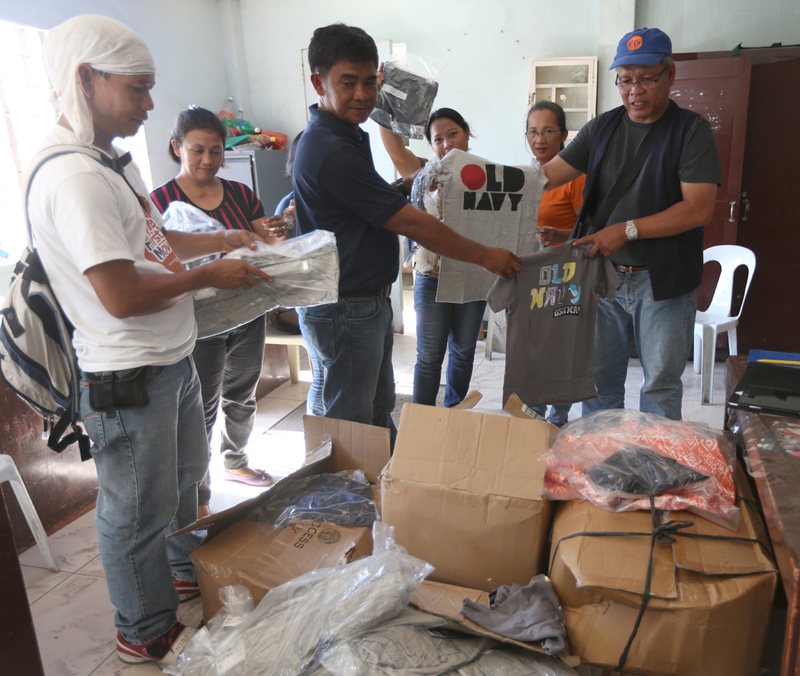 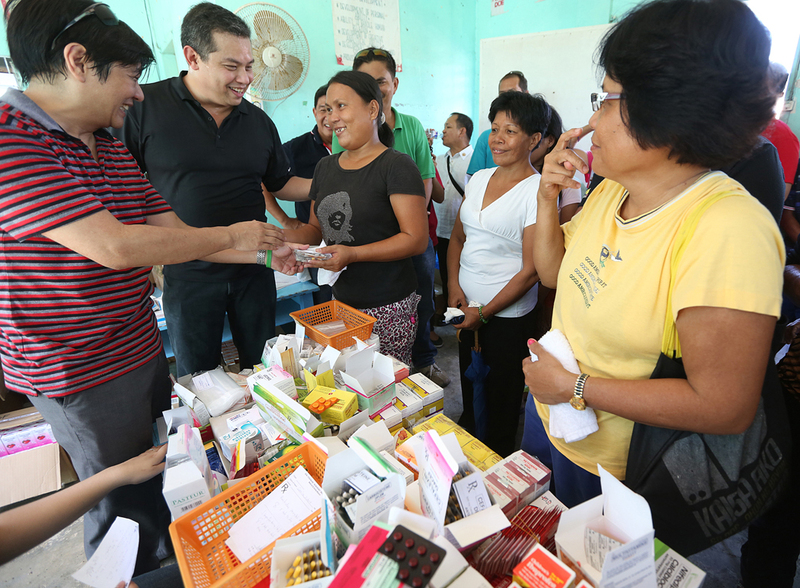 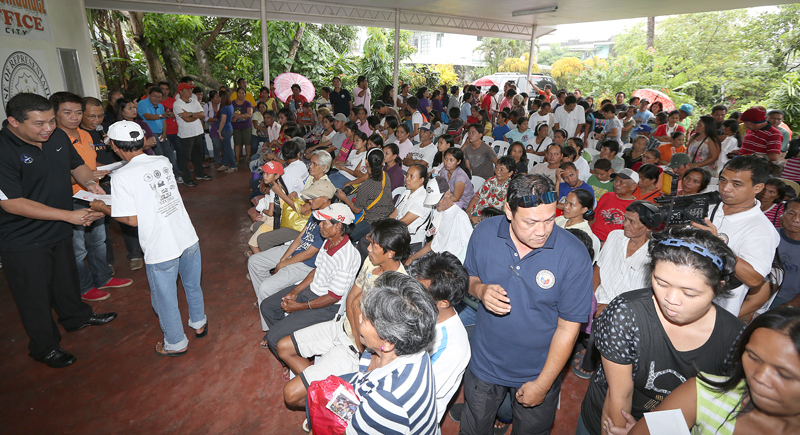 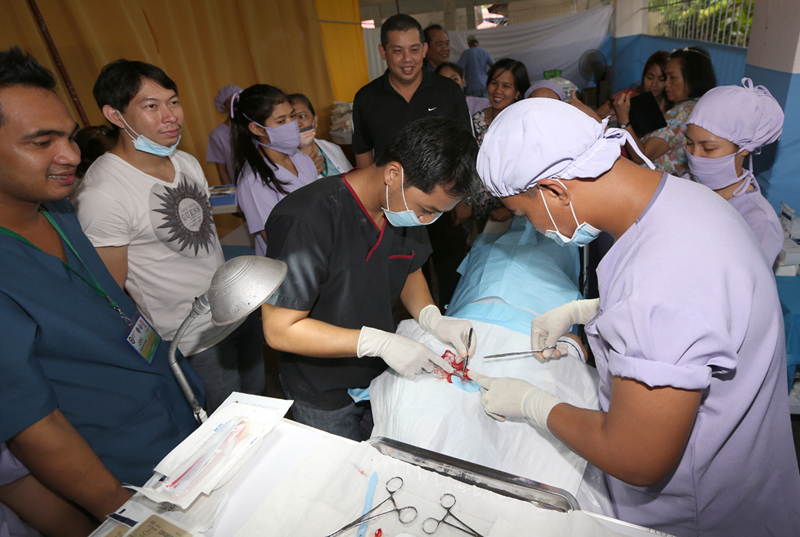 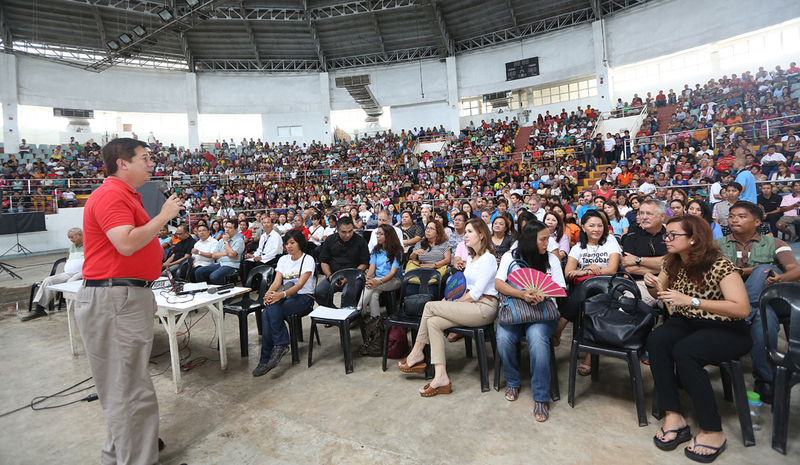 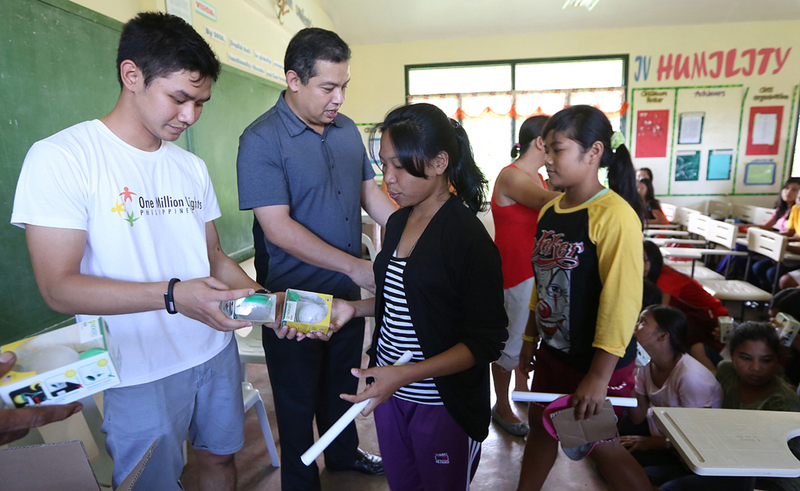 House Assistant Minority Leader and Leyte (1st Dist) Rep. Ferdinand Martin “FM” Romualdez started the new year 2013 by distributing more financial assistance to more than 600 beneficiaries coming from the different Municipalities of the 1st District in need of hospitalization,medicines,educational,transportation and burial.The distribution was held at Cong FM”s Congressional Sub District office, Real St…. 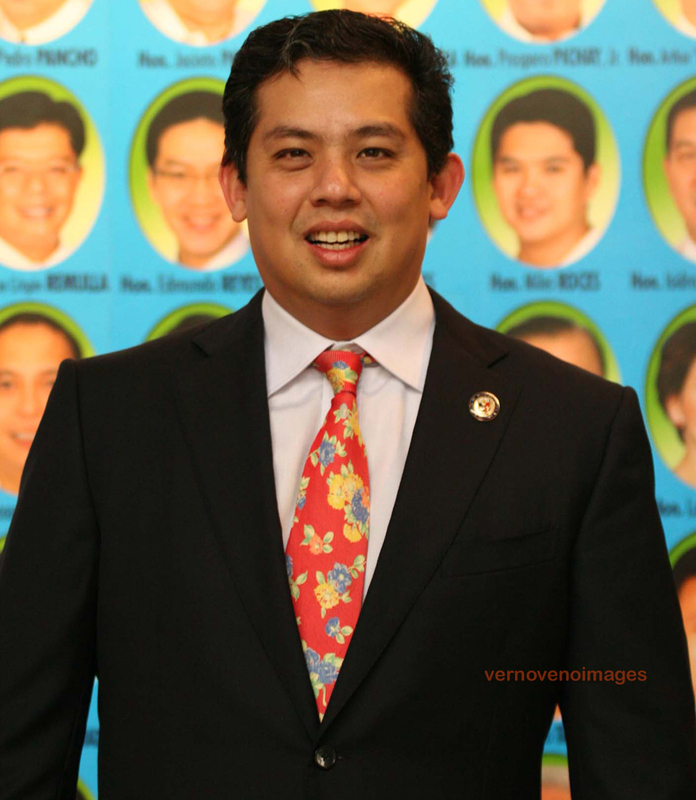 Add widgets to the "Home Template - Lower Area". 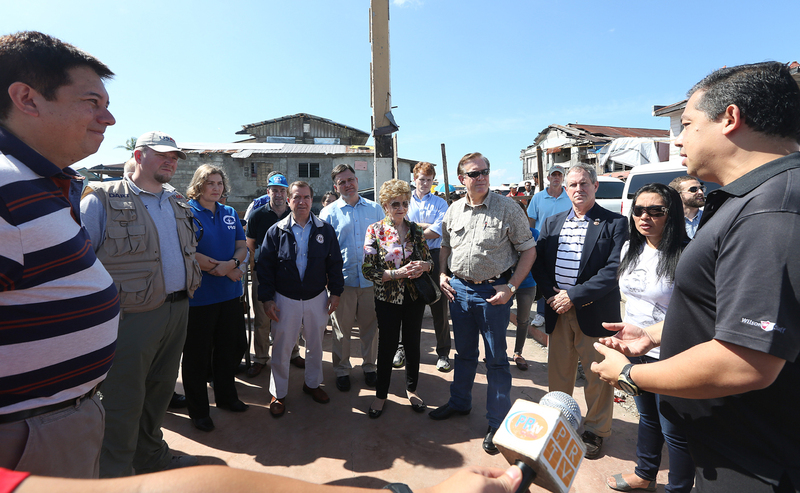 Widgets will arrange in two columns.